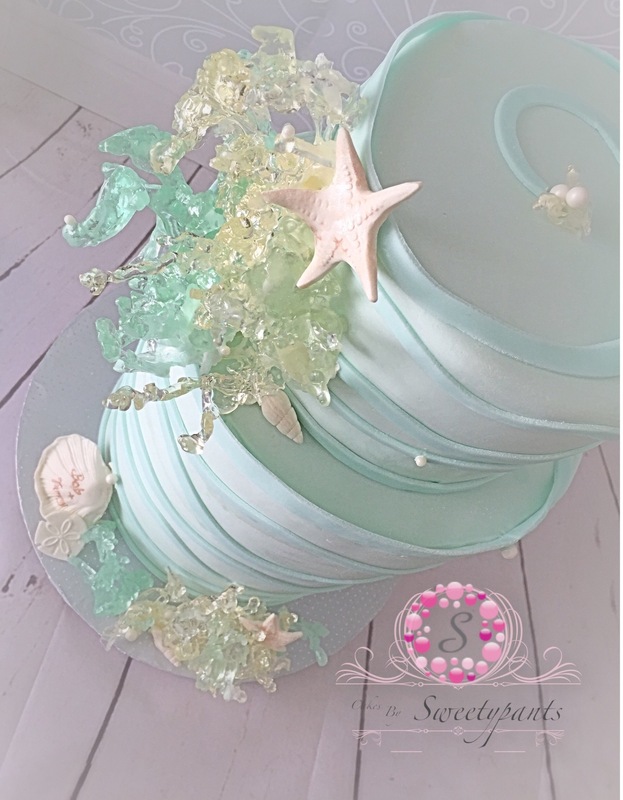 Have you ever put the last decorative piece on your cake, when suddenly you were overcome with the urge to lean in and give it a lil kiss….you know, on account of it being so darn purdy? Anyhoo….. 🙄 I might just think this cake is TOO…….DIE …….FOR. It’s a matter of personal opinion. 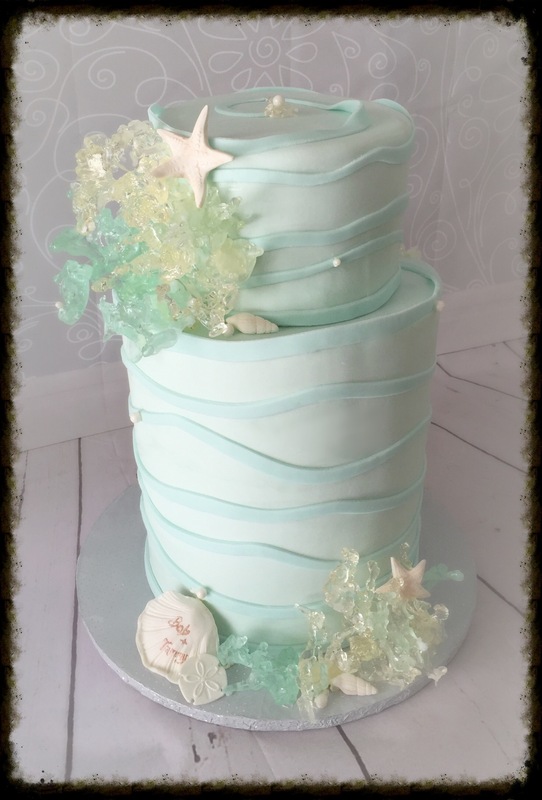 I have no doubt it has everything to do with the sugar coral that’s donning this beachy themed beauty. 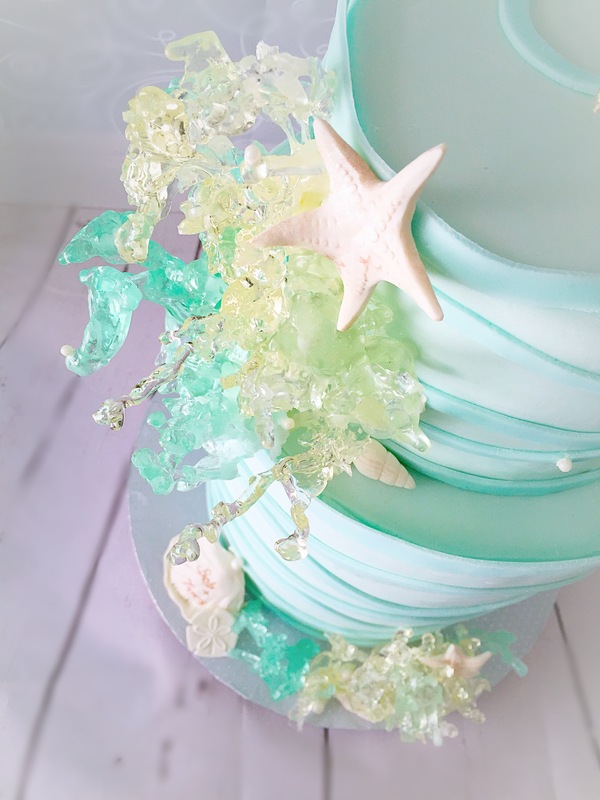 Sure the faint aquamarine color itself has a hand in taking my breath away……maybe the subtle nod to the ocean waves as well…….but I’m just gonna go ahead and give near full credit to the sparkly sugar crystal coral popping off the canvas, that makes my heart melt. Now I am no poured sugar expert here……For Realz! So lucky me because this technique can be done by, well……anyone! 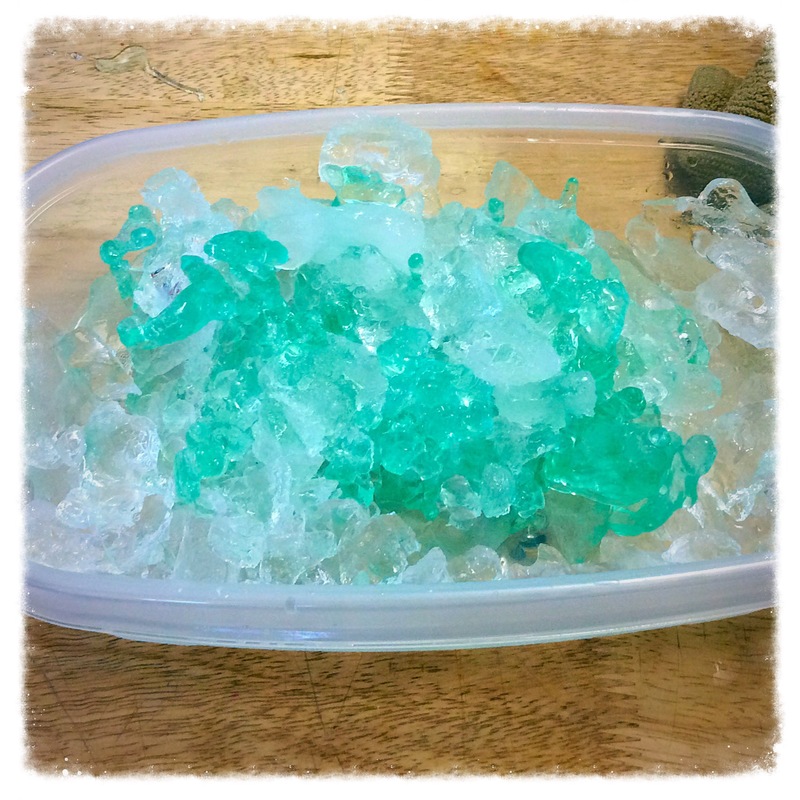 First of all, I used isomalt crystals. (A sugar substitute) You can buy them at your local cake supply store, or order them from Amazon. Duh! 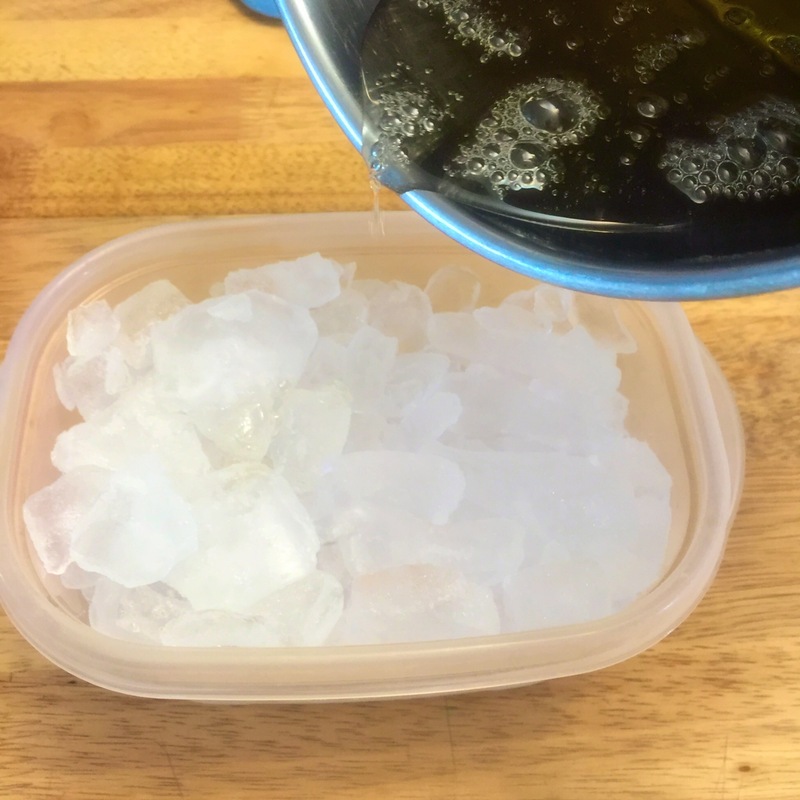 Combine your crystals and water. Give it a light stir, just until moistened. 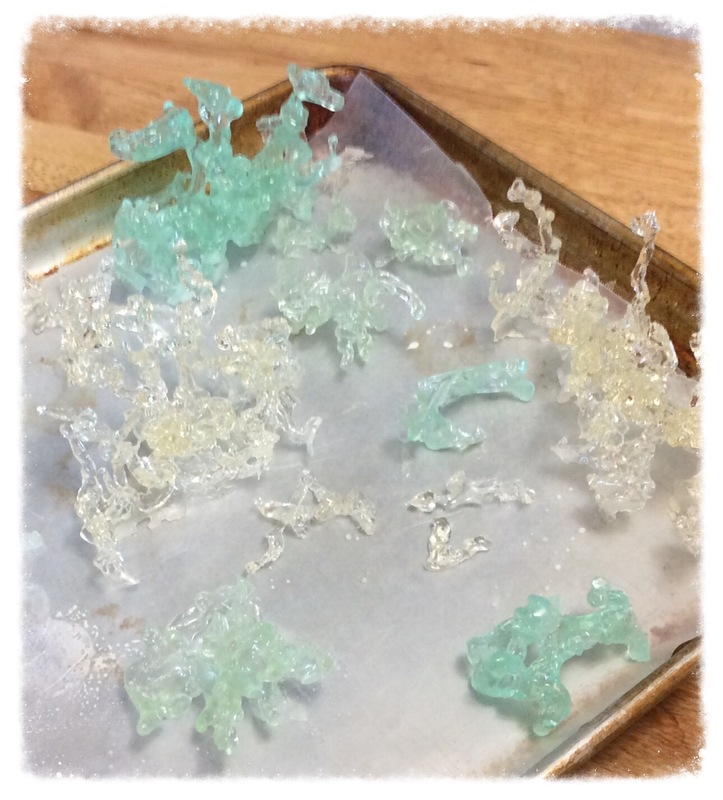 With isomalt there’s really no need. 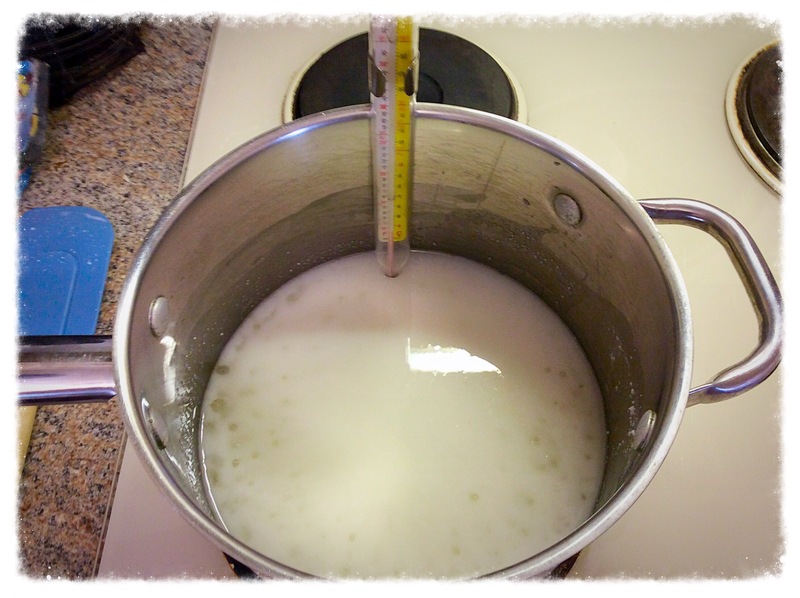 If it seems to be bubbling more in one spot, you might want to give it a stir, but otherwise just leave it be until it begins to boil. 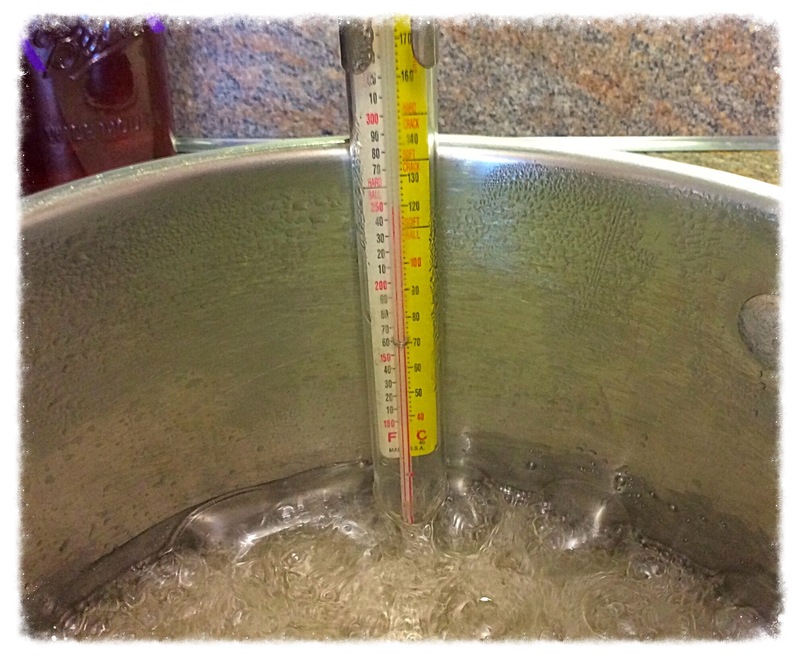 Once you’re boiling it won’t take long at all, as compared to sugar. Keep your eye on the thermometer, once it reaches 300 it’s going to go pretty quick. We need it to cook until it reaches 340. However, this means you want to remove it from the heat once it reaches around 330. Upon doing so, immediately place the bottom of your pot into your waiting bowl of cold water….just until it stops hissing. Be careful here! If you’re going to color your sugar, now is the time. 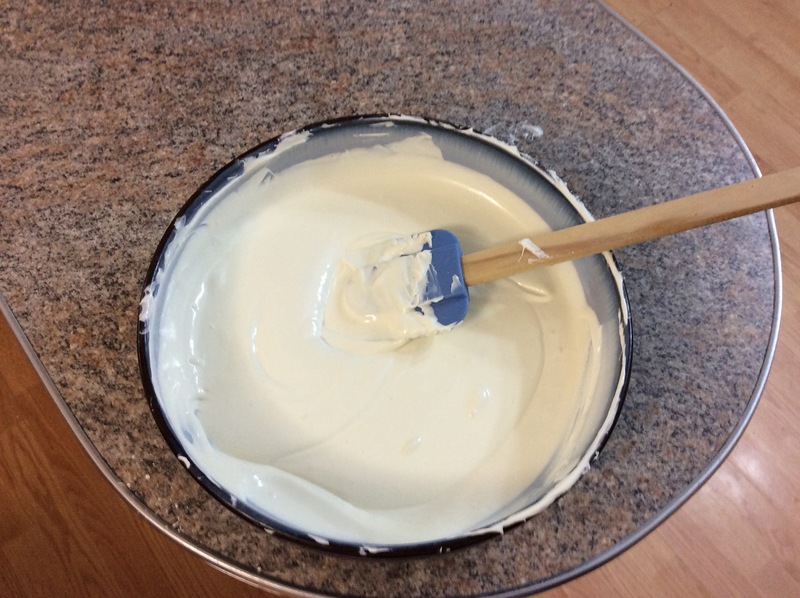 You can use the same gel colors that you use for fondant and frostings. I would NOT use a water based coloring! They will only ruin the consistency of your perfectly melted isomalt. 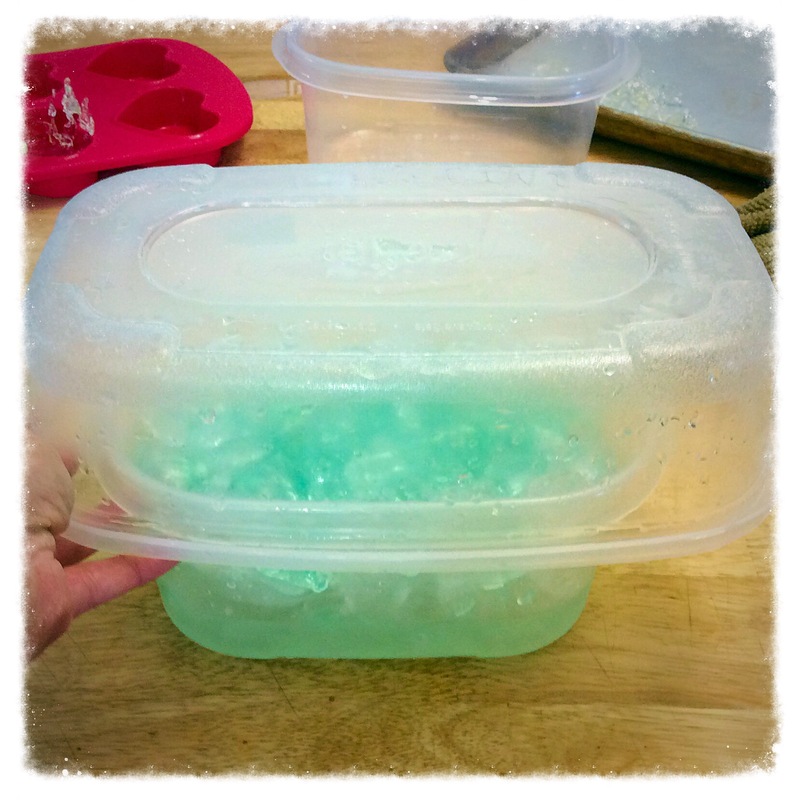 At this point you can pour your isomalt into your waiting mold for use later, or you can use it immediately…..in a suitable sugar mold of your choice, or any other technique. 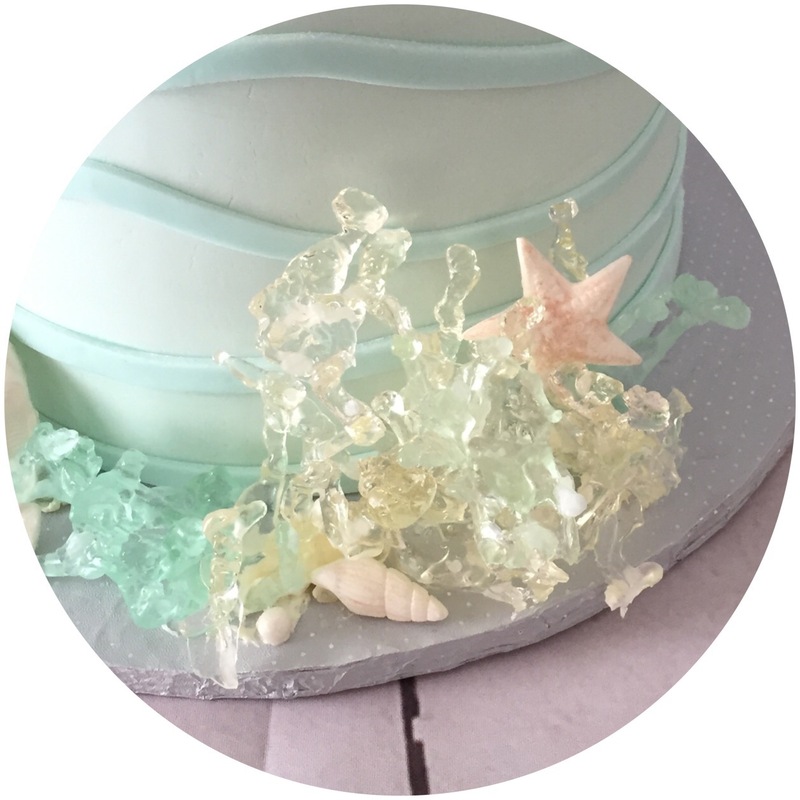 Part of the beauty of isomalt is that once you’ve completed the above steps and it has hardened, you can store it for later use. All you need to do is melt your hardened pieces down in the micro for a minute and you’re ready to go ! But we are going to go ahead and make some gorgeous coral. Woot! 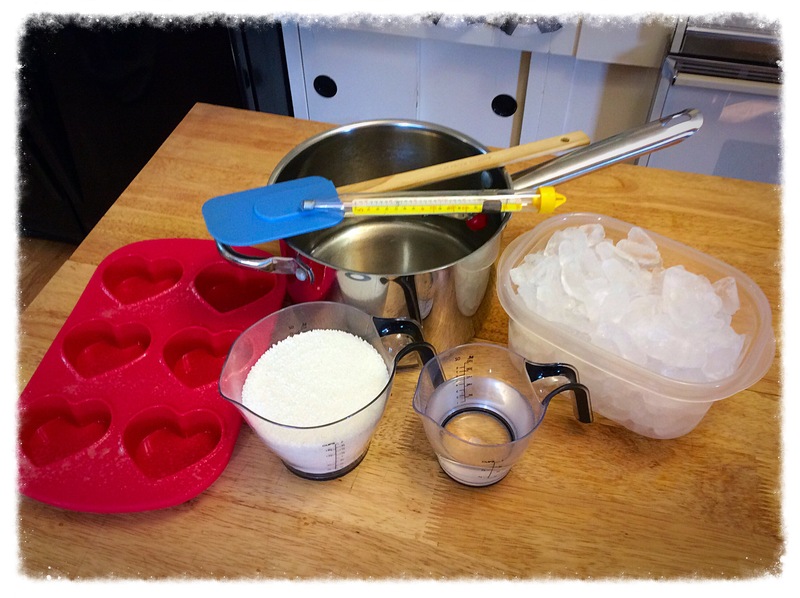 All you need to do it pour your melted isomalt over your tub of ice (yeah….that’s pretty much it) 😀. I found its easiest for me at this point to then flip the piece over into a slightly larger container. GENTLY! The outcome at this point is up to you! 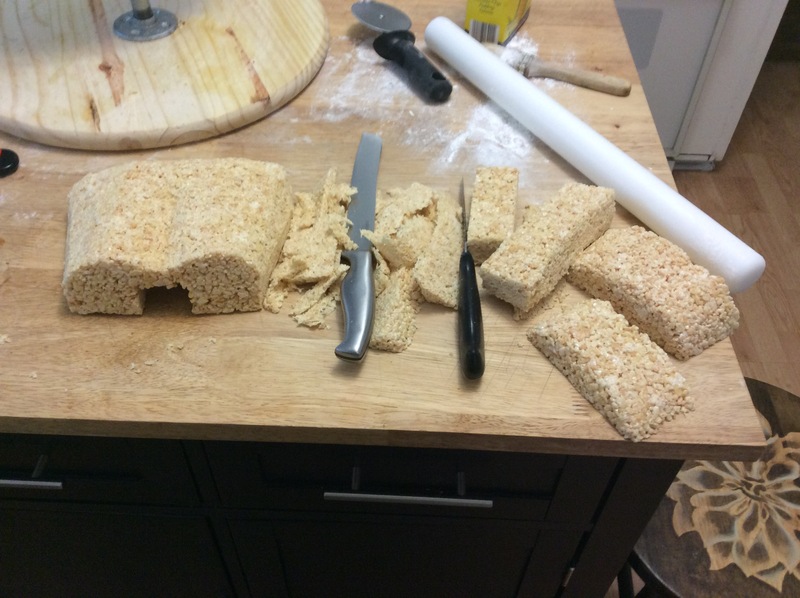 I wanted large pieces of coral for my cake, so I let most of the ice just melt off so’s I didn’t damage anything, but you can also break them up into smaller pieces. Just keep in mind, this really is as fragile as it looks so be careful! 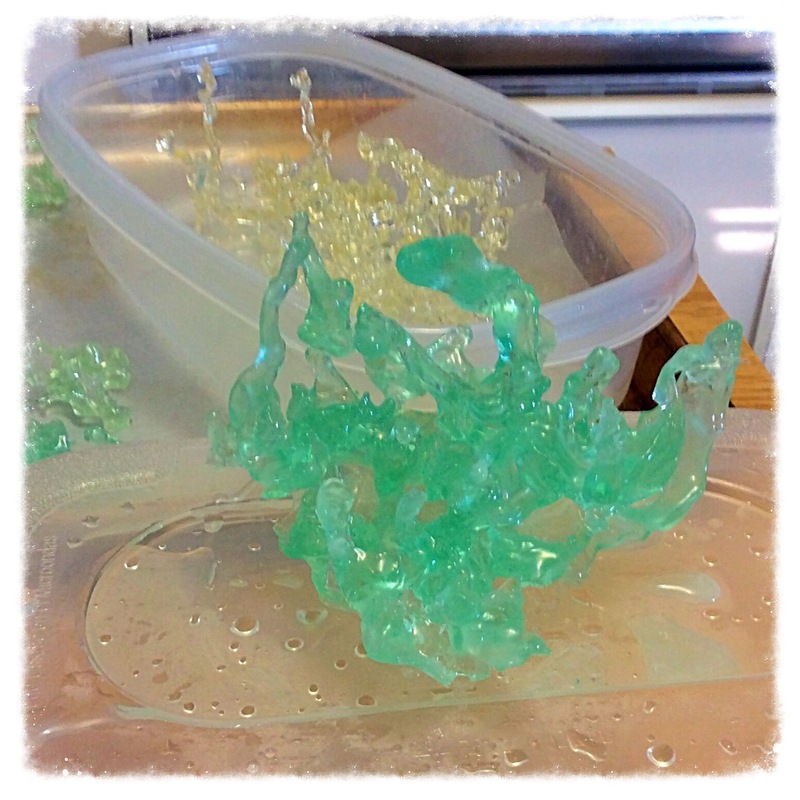 Although, if you do happen to mess it up you can just remelt your isomalt in the microwave and do it again! Sigh…….so pretty. Just leave them out to dry for a few hours. Now I just need to take a photography class so I can learn to capture just how beautiful these pieces really are! 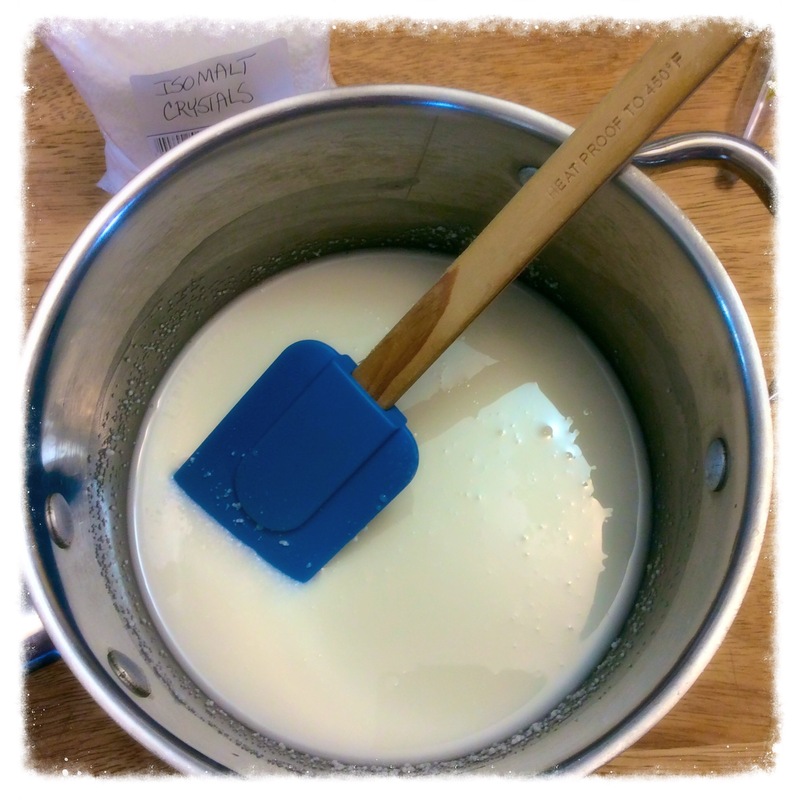 Recently I had several recipes that called for heavy whipping cream. Yum! So naturally I bought way more than I needed……….what to do, what to do. 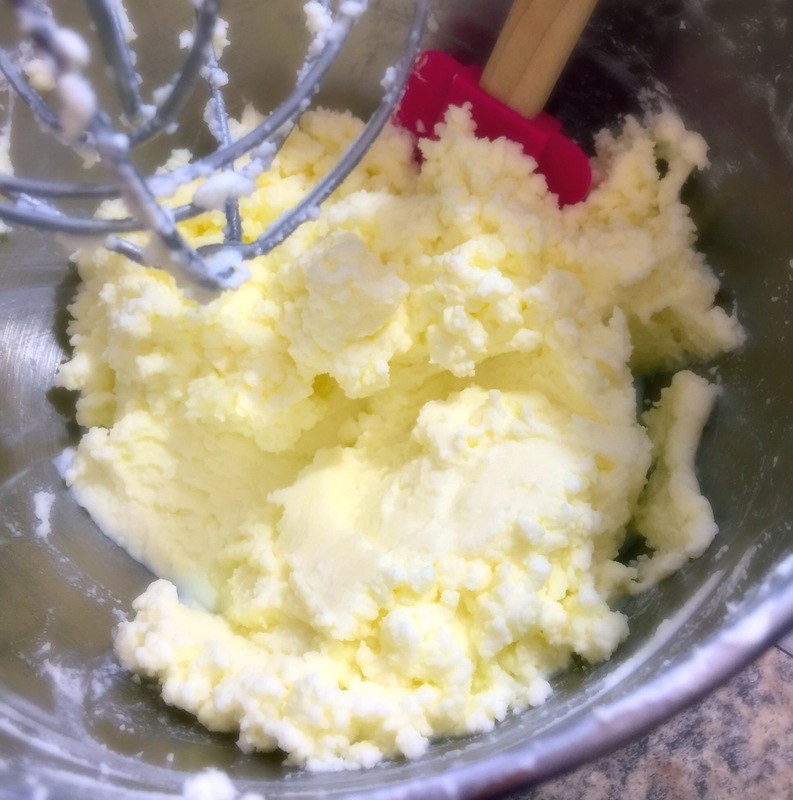 There are several delicious recipes that call for whipping cream, but because I’m a baker I am always in need of butter, and let me tell ya…….it ain’t cheap! 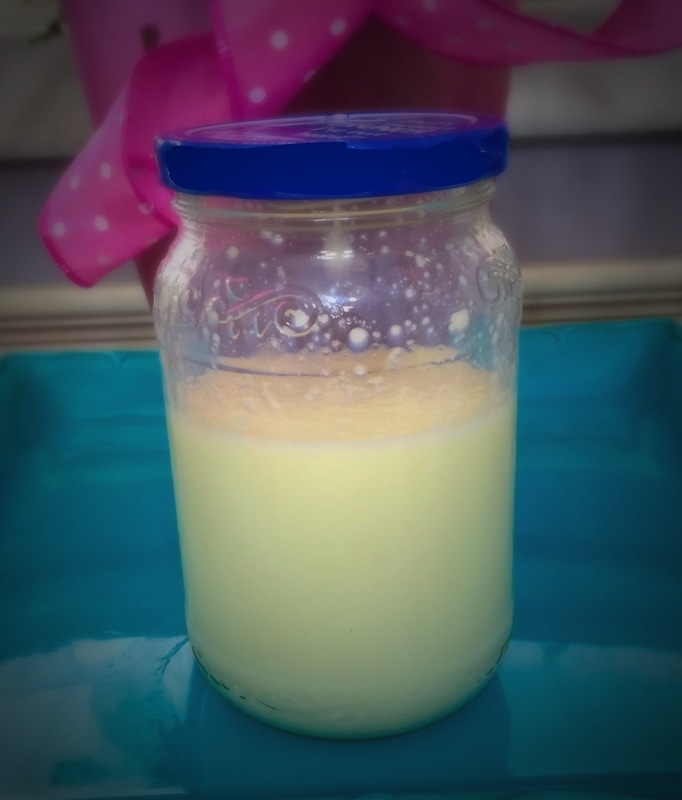 It’s really very simple, all you need is heavy whipping cream, a mixer, and a jar. 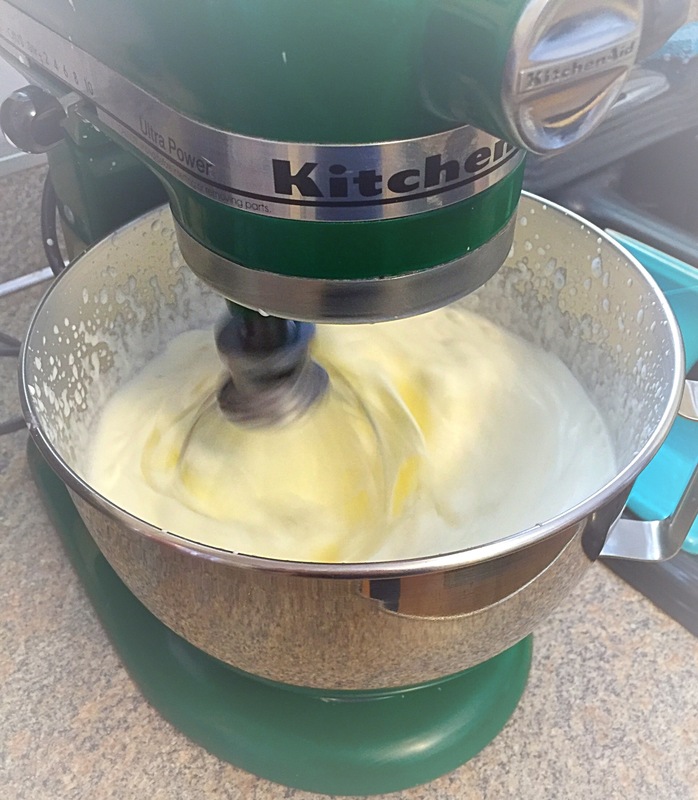 (The mixer is optional if you’d like to go total pioneer woman & rely on your arm strength alone). 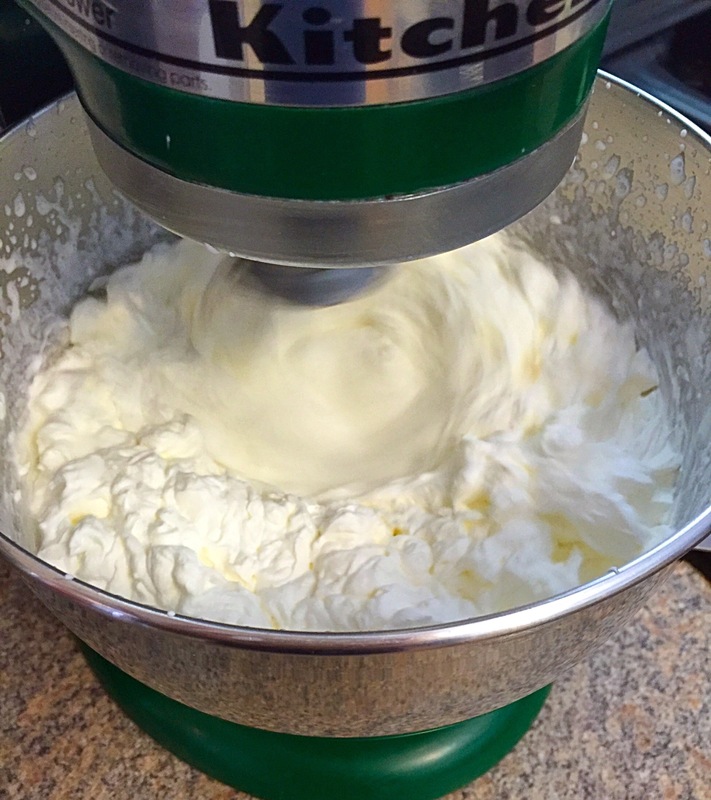 One quart of whipping cream should yield near one pound of butter. I only had about 3/4 of this carton left to work with, but I’ll take what I can get! Just turn your mixer on high and let it do its thing. 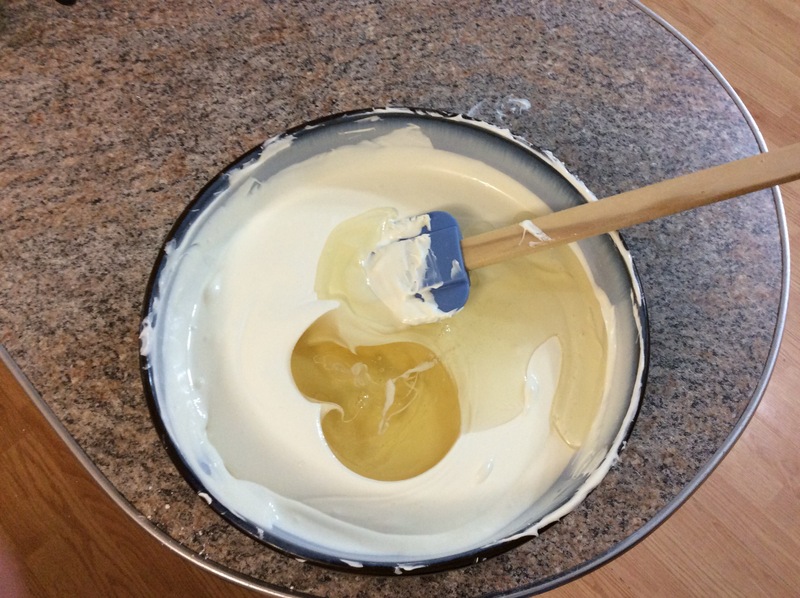 First the fluffy whipped cream stage……..
After a few minutes, maybe 5 or so, you’ll notice the look is becoming firmer and it also begins to yellow a bit. Then it will begin to harden and separate. This is when I transfer to a jar. I just wouldn’t feel right letting the mixer take all the credit! 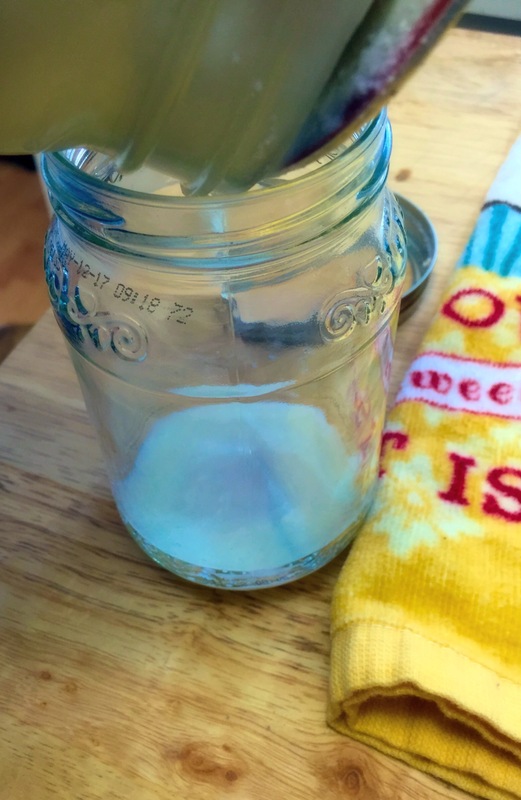 Keep draining the buttermilk into a separate jar. Now is when you would add in salt if desired. 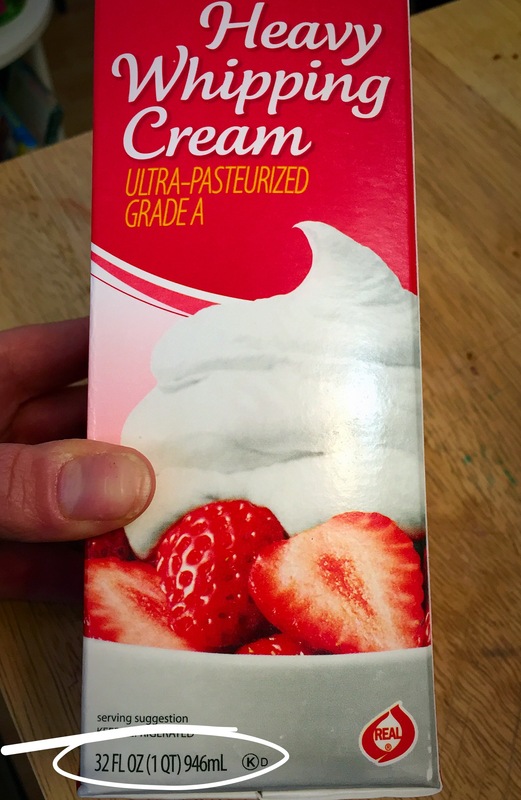 (I use unsalted for baking) I would say 1/2 Tbs per quart. You could also add in some herbs for extra flavor! 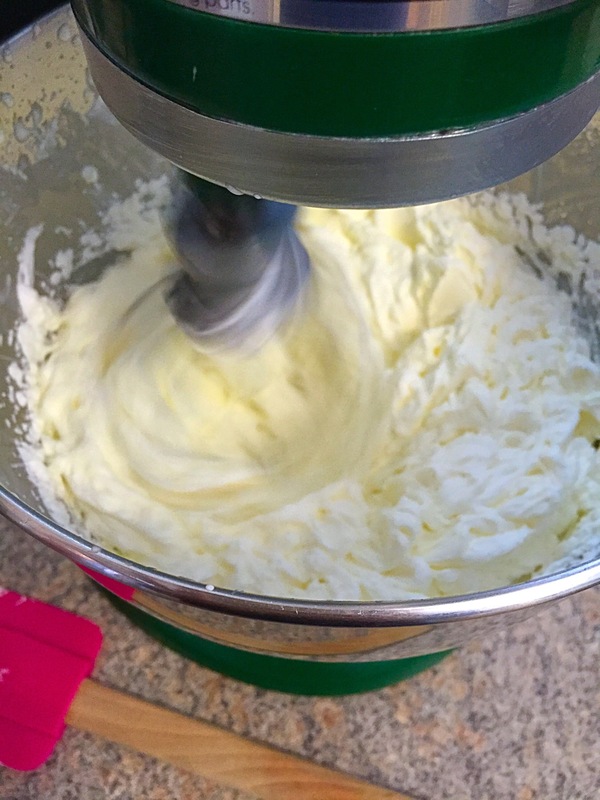 The next step is to “wring out” your butter, just to get rid of any excess buttermilk hanging around. You can quite literally run it under cold water and squeeze, or wring it until no more liquid is being released. 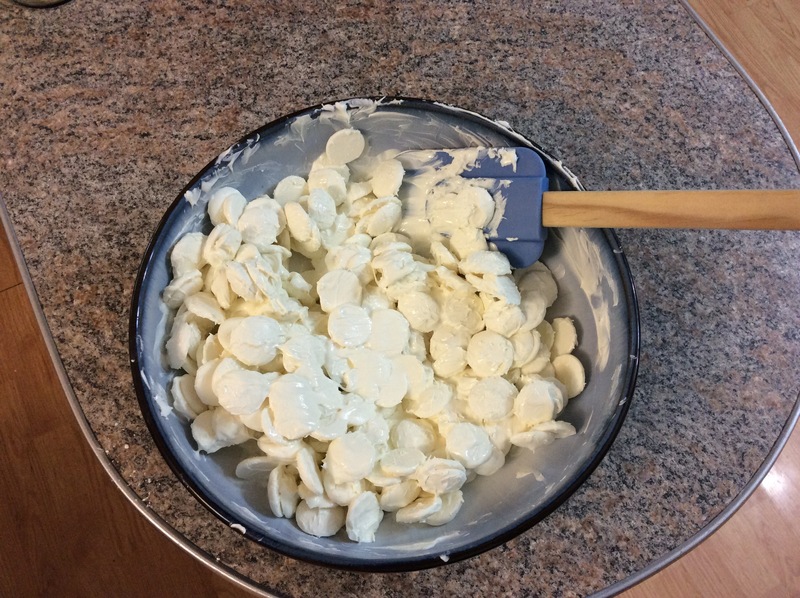 (This process is pretty messy, but oh so effective) Or, you can add cold water to a bowl along with the butter, and keep pressing it against the side with a spatula until the same result is achieved. You can guess which method I go with, seeing as though I didn’t have a free hand to document with……. 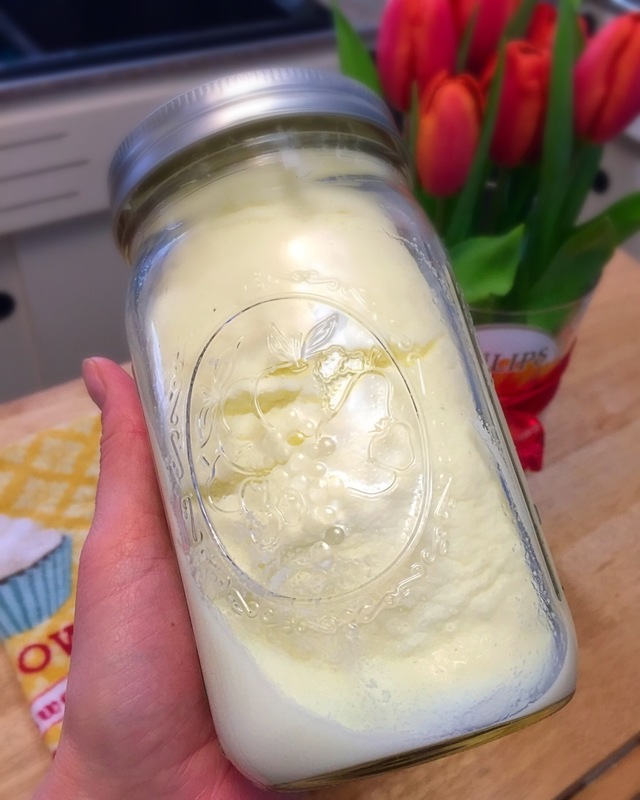 You’ll be surprised how much fresh buttermilk you’ll get! Perfect for cakes!!!! Or pancakes I suppose….😏. You’ll also be surprised at how condensed your final product becomes! 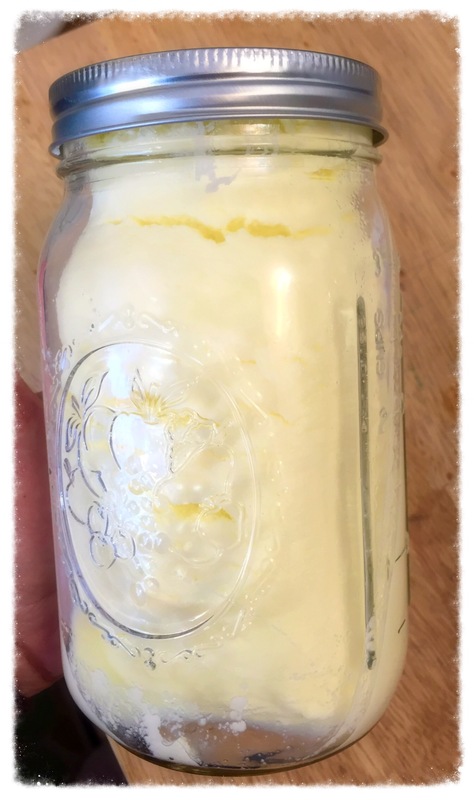 If you wanna be all fancy, you could press your butter into a silicone mold and then refrigerate to harden. Or you can just store it in a jar in the refrigerator. 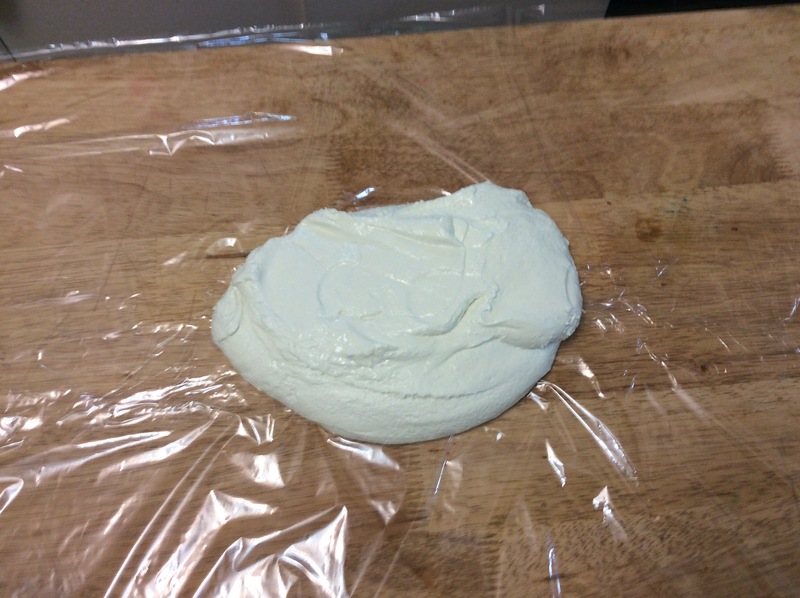 Try to use it up within 2-3 weeks (never a problem in this kitchen) You could also freeze it for up to 6 months. 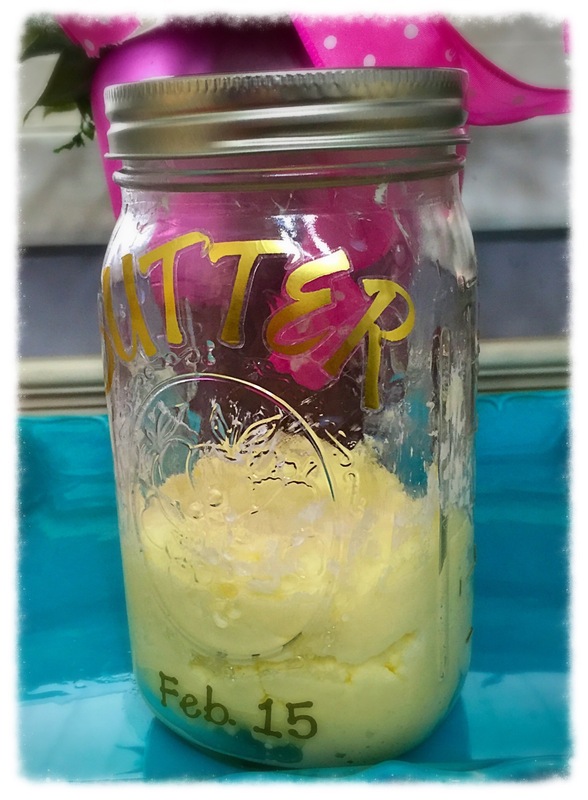 There you have it, an easy peasy cute little jar of fresh butter! Don’t forget to add your born on date in case you’re forgetful like me. 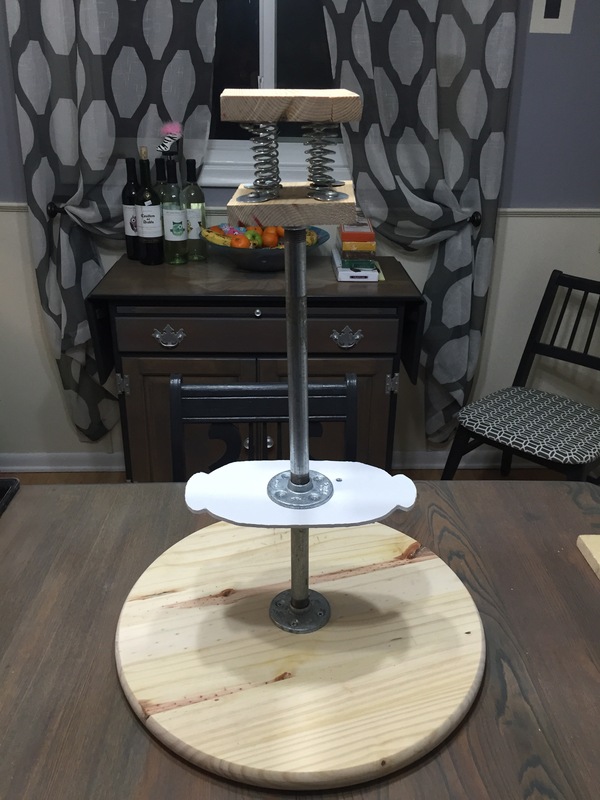 Now what are you waiting for……..go get your pioneer woman on! There is nothing more exciting than hearing a customer say, “do whatever you want” in my little cake world. It gives me an ever so slight feeling of power, followed by the ever so slight feeling of terror that I will let them down. No matter……I always think ‘fine….I will’ and press on to do the first thing that comes to mind, even if I’m Ascared to do it. About 5 or 6 years ago, when cake shows were big on tv, I saw an episode where The Cakegirls made a bobble head cake, and I was absolutely blown away! 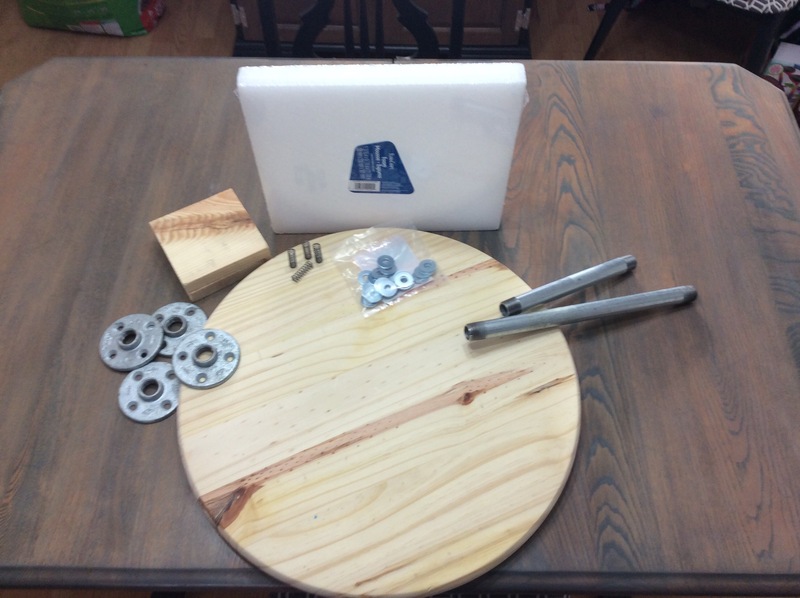 So when I decided that I needed to try this some years later, I just figured I could jump online and there would be a diagram and instructions…….Errrrrr……no such luck. Dag gummit! I searched and searched and finally accepted that I was going to have to dig into the archives of me lil brain and pull out whatever remained of what I had thought they did. 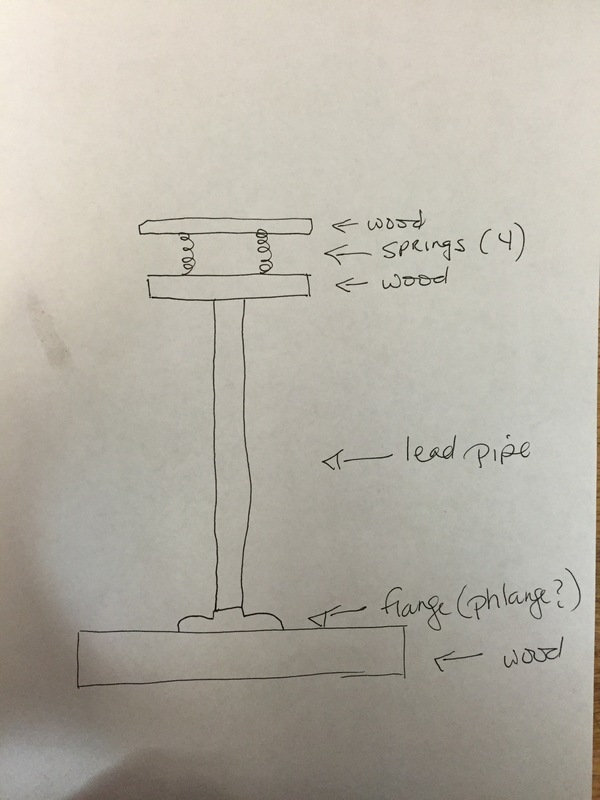 His first response was Ofcourse, “um….lead pipe in a cake? Lmao”. Ok ok…….so maybe I didn’t fully think that through, and had that coming but he knew what I was going for and seemed to agree that this might be the right direction. Woot! Unfortunately, and typically he was held at work for the rest of the evening so I was on my own…..wha wha wha. 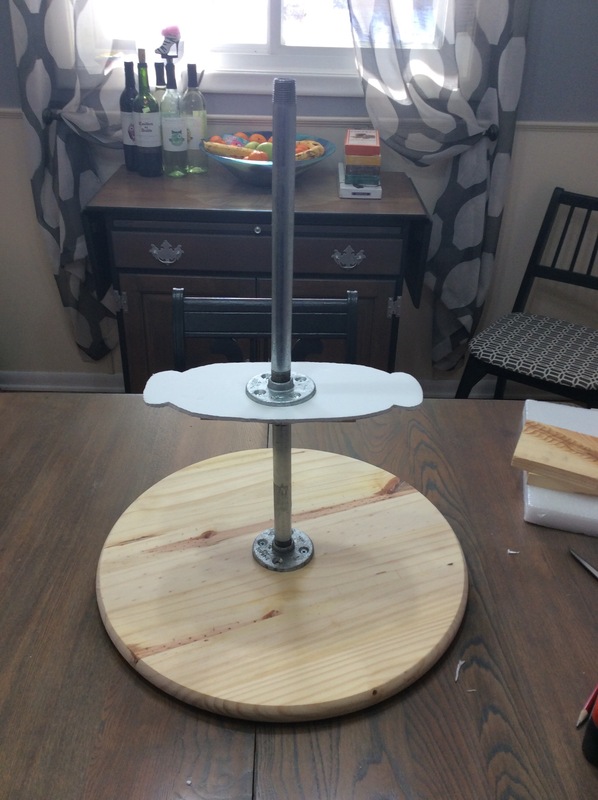 Good thing I’m a handy chick….and usually I’m of the opinion that there’s nothing better than cake, except when you need a power tool or two to build the base the cake is going on…..fun stuff! Now it’s time for “The Bobble Mechanism”. This part is a little tricky. 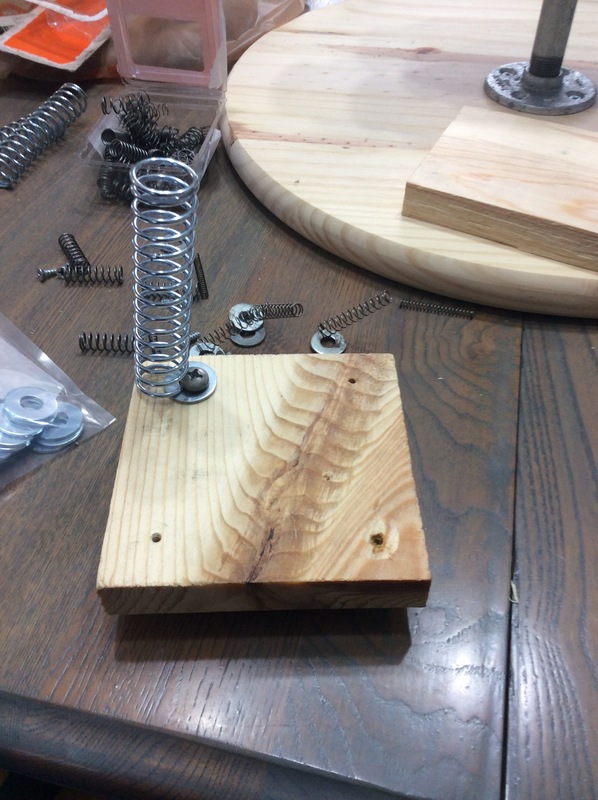 I tried to do it on my own, with some very whimpy springs……it was not happening! 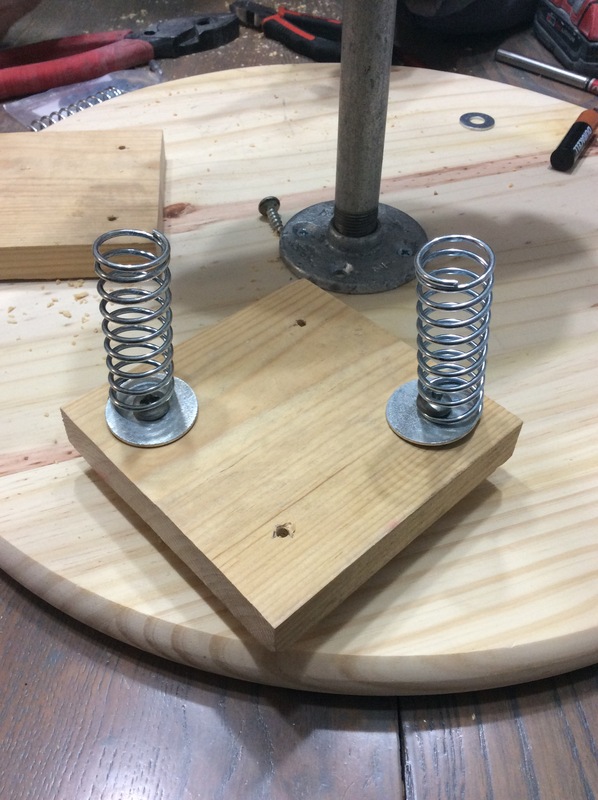 I upgraded to much thicker, heavy duty springs and began attaching them to the first block. Once all 4 were attached I realized quickly I couldn’t attach the second block alone. My handy hubby and I needed to do it together. Unfortunately, I have no pictures of that process because it was all hands on deck! 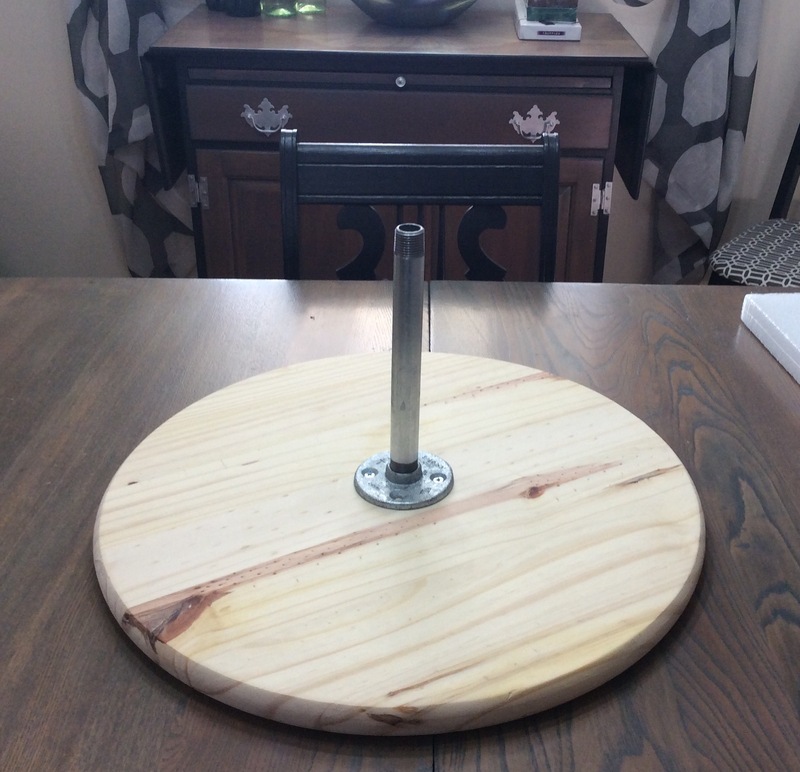 One person to pry the top piece back, and the other to in set the screws and washers. After iThey were all in place I attached the 4th and final very very necessary flange to one side. 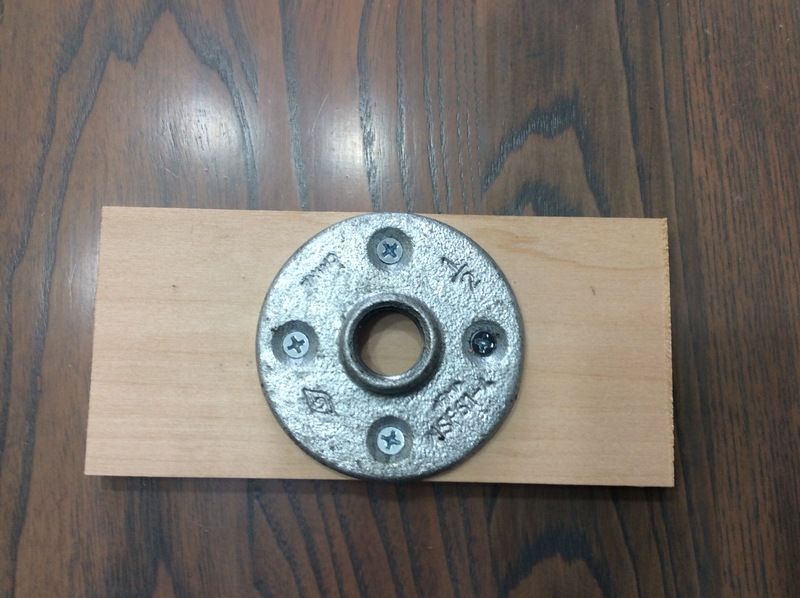 As you’ll see in the next pic, we originally assembled the springs toward the inside of the corners. Then we did a test bobble with a heavier plate since it was nearby. It seemed to work perfectly. 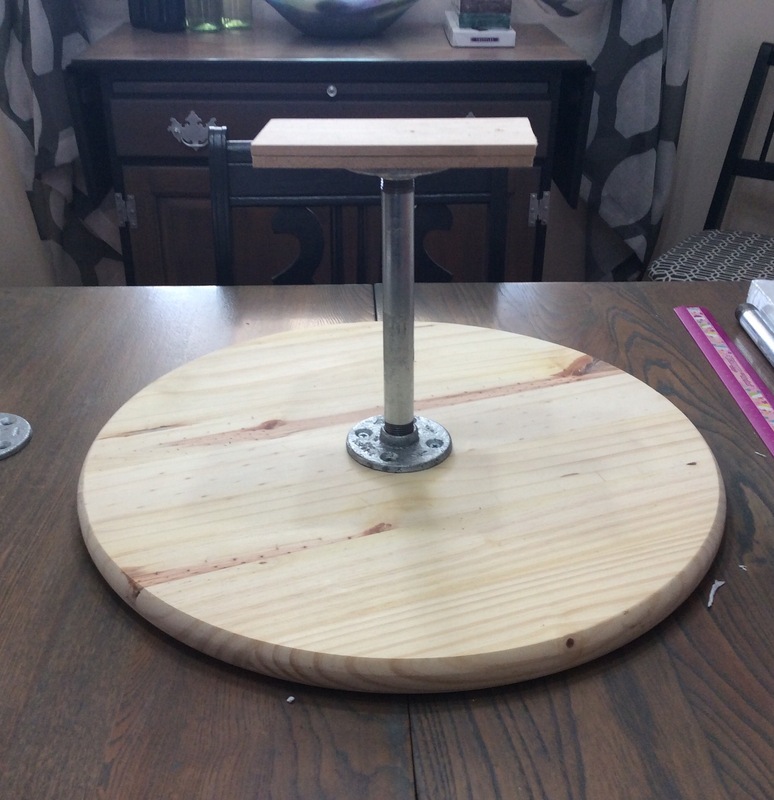 HOWEVER………Once we did a test bobble with the actual helmet portion of the cake, while awesome to witness, it proved too terrifying for us both so we reassembled the mechanism and positioned the springs directly under each corner. It’s not so scary when you’re using a plate…..but I promise with a cake on top there were screams all around! 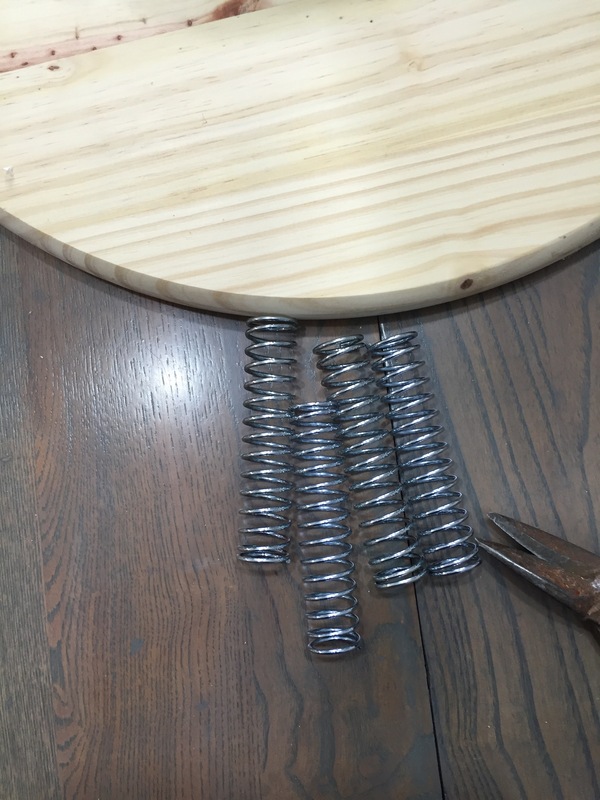 Ahhhhhh…..see, this is much better…..I recommend placing the springs as close to the corners as you can. The whole process was actually very simple! 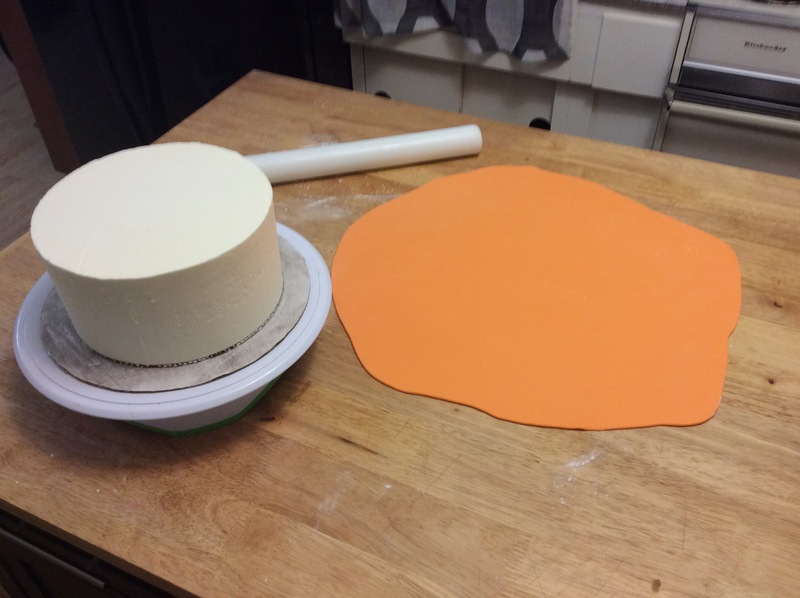 I won’t go through the whole process of making this cake, since this tutorial is for the cake structure, but here are a few side tips I would’ve loved to have had myself beforehand. 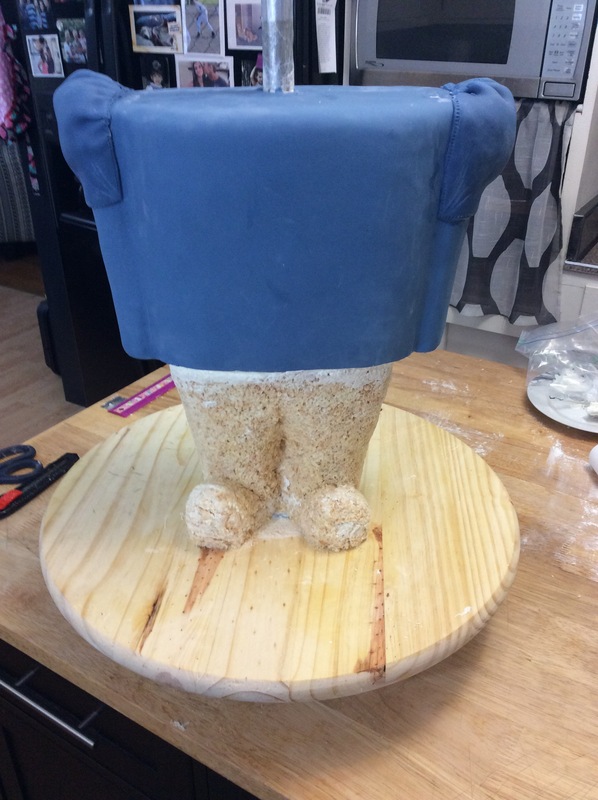 I used rice cereal treats to carve the leg portion of the structure because we didn’t need it to all be cake, but you could easily use cake for them, and add more servings. Next….. If I had it to do again, I’d wait until I had an extra set of hands to cover the ginormous helmet! As a matter of fact, I’d probably make the head portion a bit smaller. 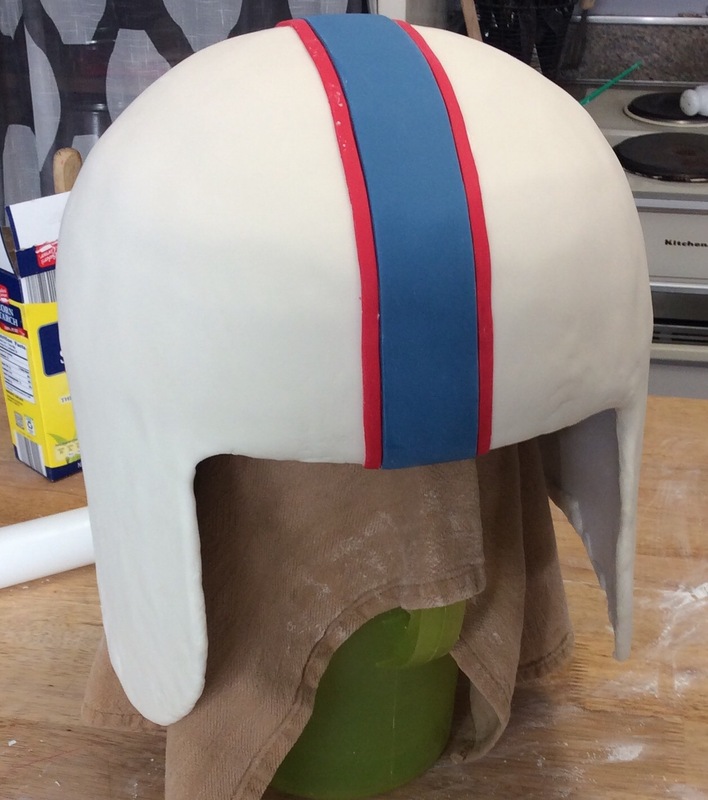 Because the lower portion of the helmet was poster board, I brushed it with piping gel so that the fondan would have something to adhere to…….while that works great, it also grabs and “glues” the fondant to the surface immediately. So the end result was a little more um…jacked up ……than I would’ve liked….. Lesson learned, next time just chill and wait until you have an extra set of hands available . See? I know all you bakers can see those bumps…..ick, these are things that keep me up at night. Yet, time is not on my side here so I press on. 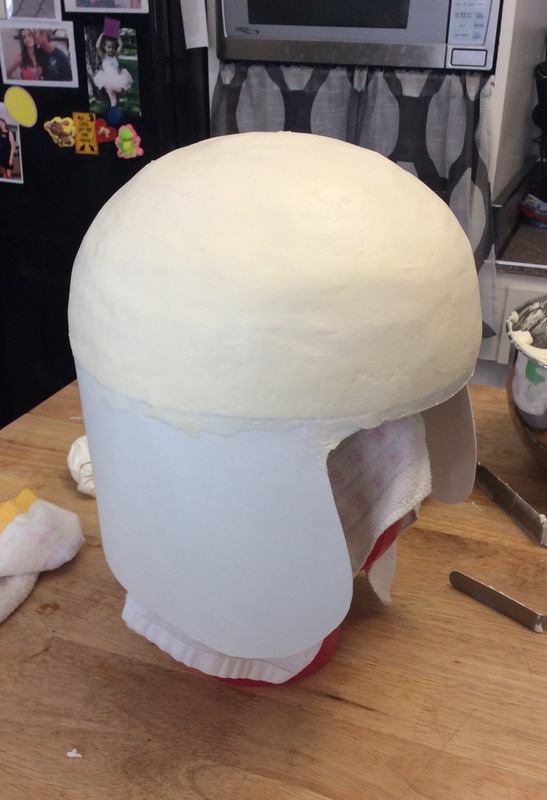 Once the helmet is done you’ll be able to measure your opening and carve the face out of your craft foam. This is by far one of the more simple steps in the process. 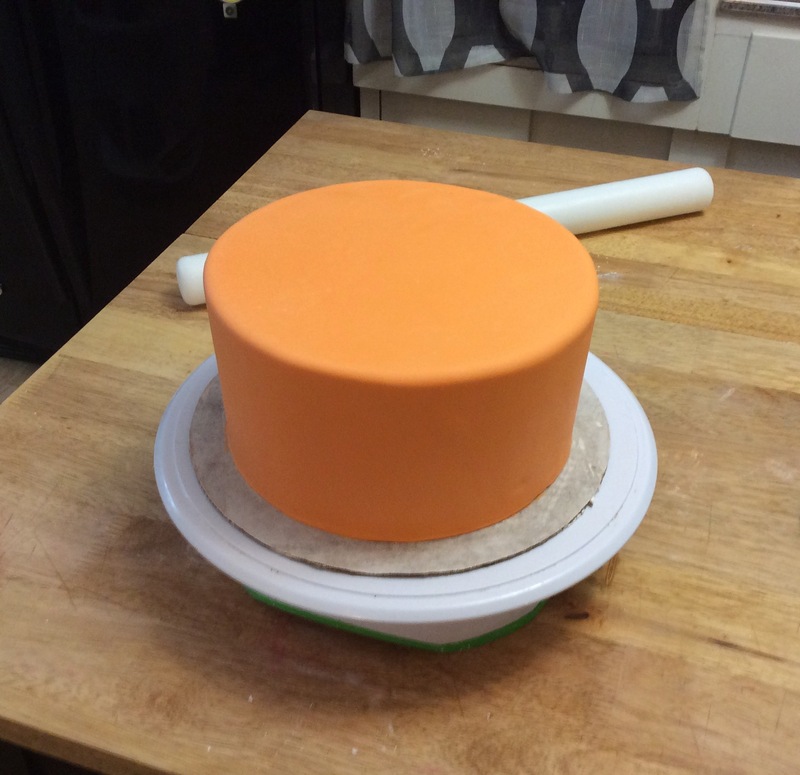 I used buttercream to lightly frost the foam, and then covered with fondant. You don’t want to add a lot of extra weight. Keep in mind you’re going to be attaching this to the front of your cake and it could potentially throw your bobble off…. Finally, the last thing I’d like to share with you is the actual attachment process. If you’re feeling lucky you could totally just set your helmet on top of the bobble mechanism and hope for the best. I chose the safer route…..heavy duty Velcro! 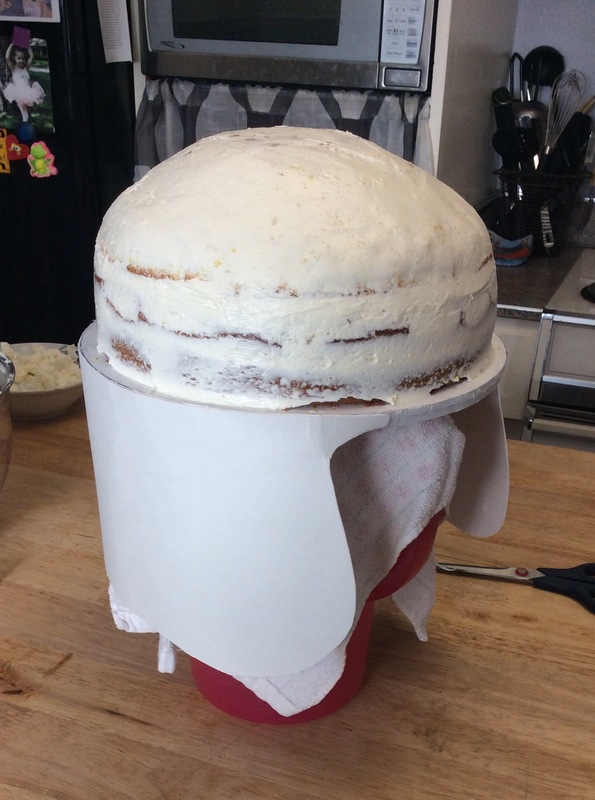 Once your helmet is placed though there’s virtually no going back without some serious repercussions so I recommend placing it once without the Velcro and marking the bottom of your cake base so that when you’re ready to attach it for good you know exactly where to set it. 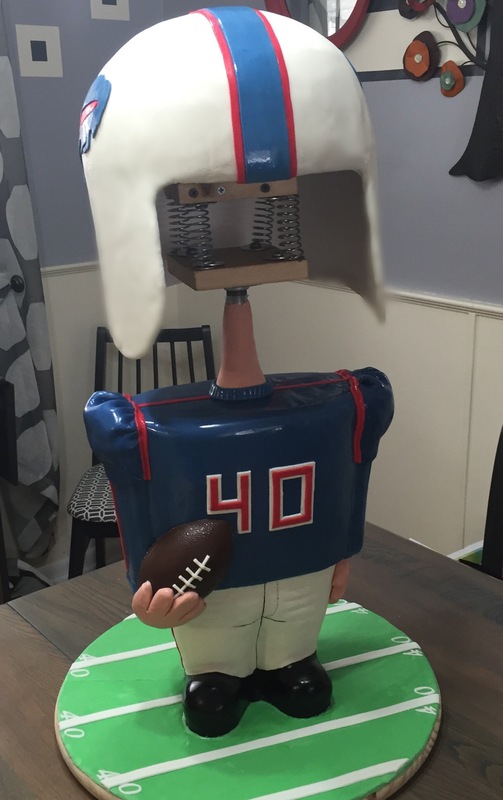 And there you have it…..The Bobble Head Cake! I think he turned out just adorable. Those darn Cakegirls think of everything! I’m just glad my lil brain retained what I had seen! 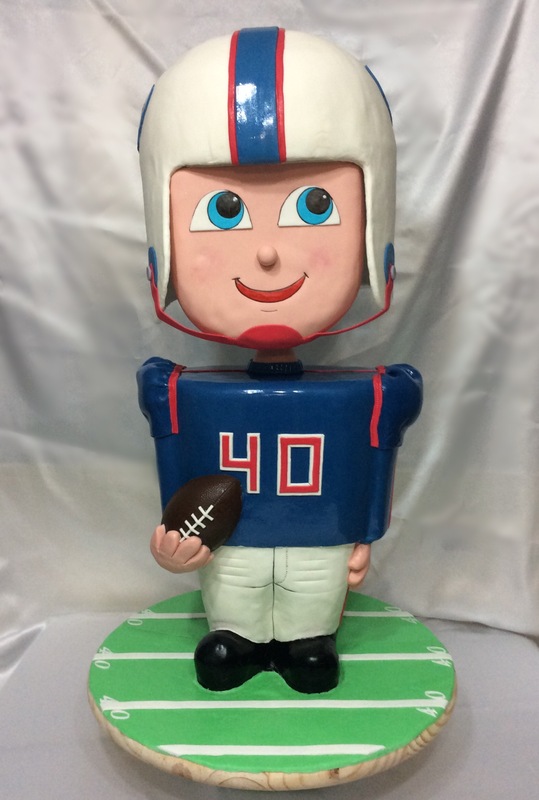 To watch him bobble visit my YouTube channel, Cakes by Sweetypants. Or you can see the video on my Facebook page! 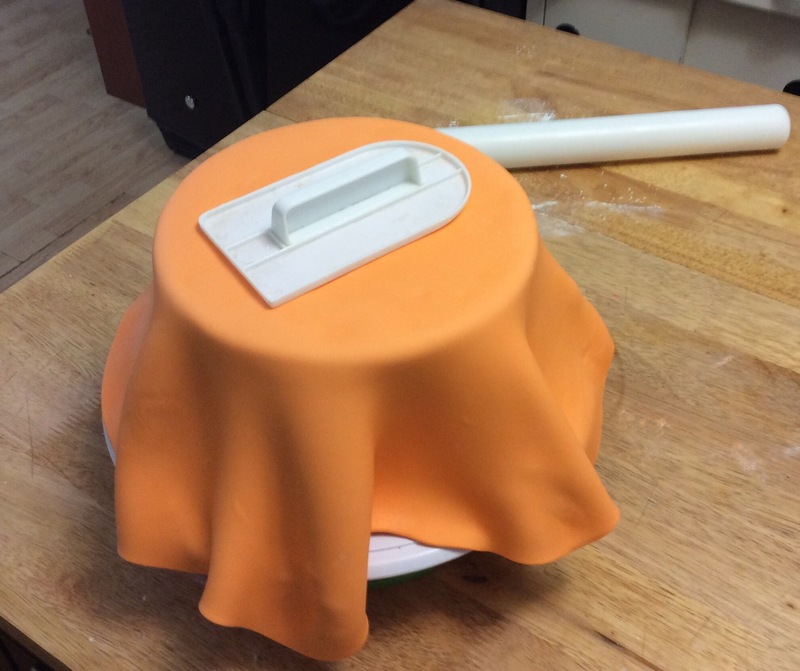 I thought I’d start my first official blog post off with something every decorator needs…..fondant! 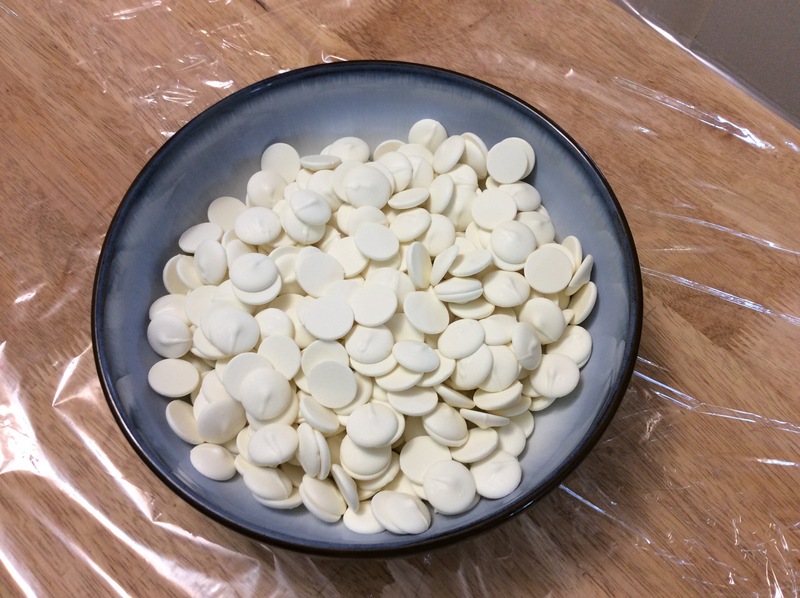 Sure, you can buy several different brands of pre made, pre colored fondant and save yourself the headache, and extra step of making it yourself…..BUT it’s a bit more expensive to buy, and there is a huge difference in taste (that’s just my opinion though)! I’m also a firm believer that homemade is from the heart ❤️. 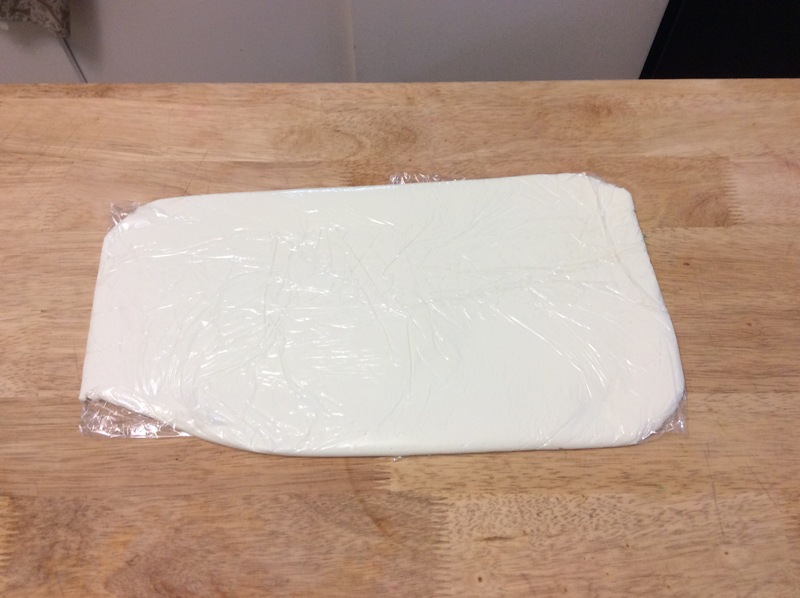 The following recipe will give your fondant the taste of buttercream. 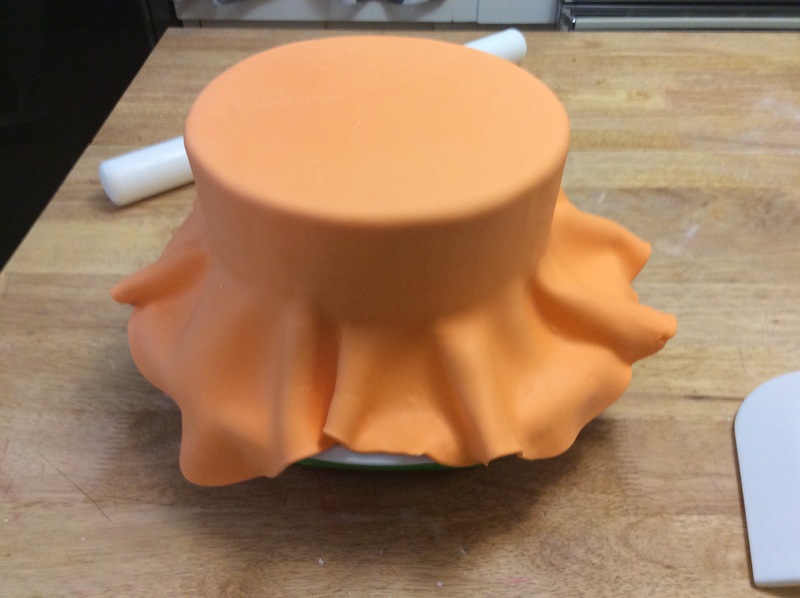 *Ofcourse you don’t HAVE to use clear extract…..if you want lil brown colored lumps in yer fondant. 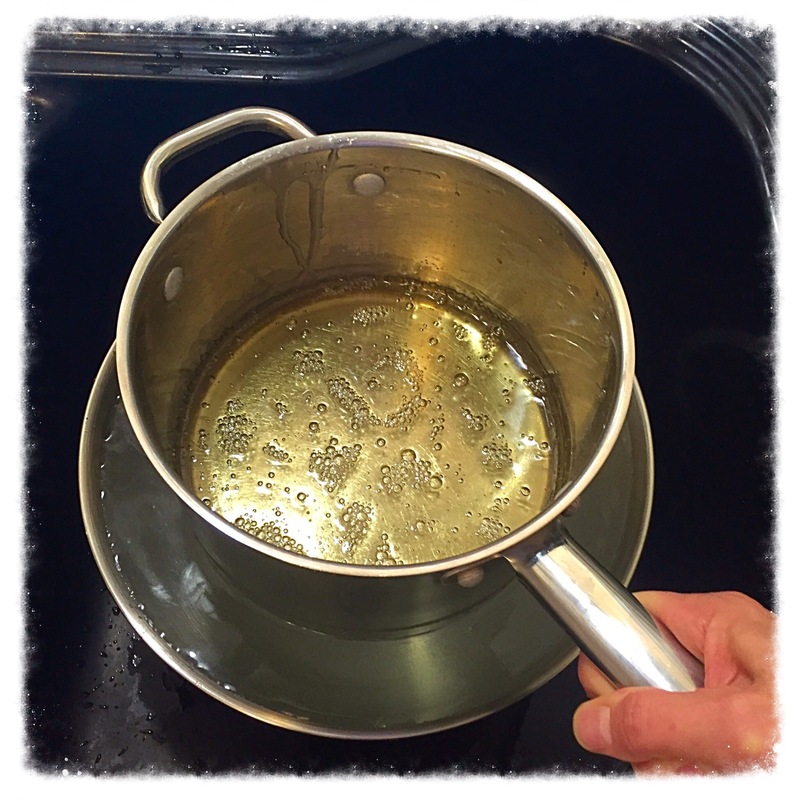 Start off by greasing a large, microwave safe bowl, generously with vegetable shortening……SERIOUSLY…..do not forget this step! 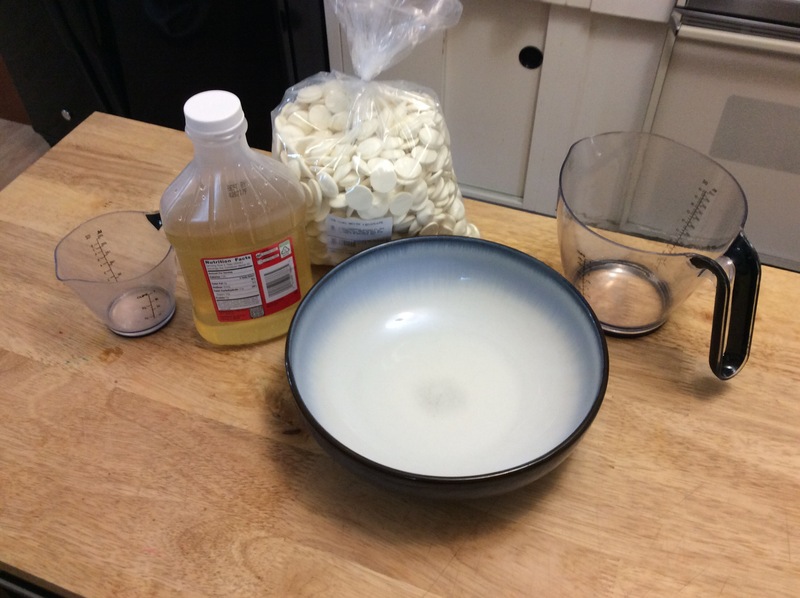 Add your 8 cups of mini marshmallows, water, butter& vanilla extract. 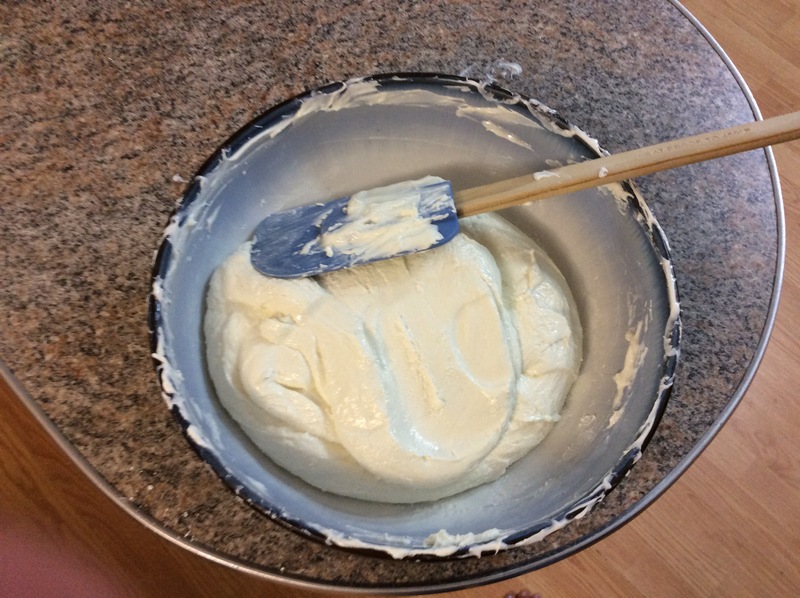 In a separate large bowl, combine 2lbs powdered sugar with salt and dream whip (store brand works just as well). Mix errr up! 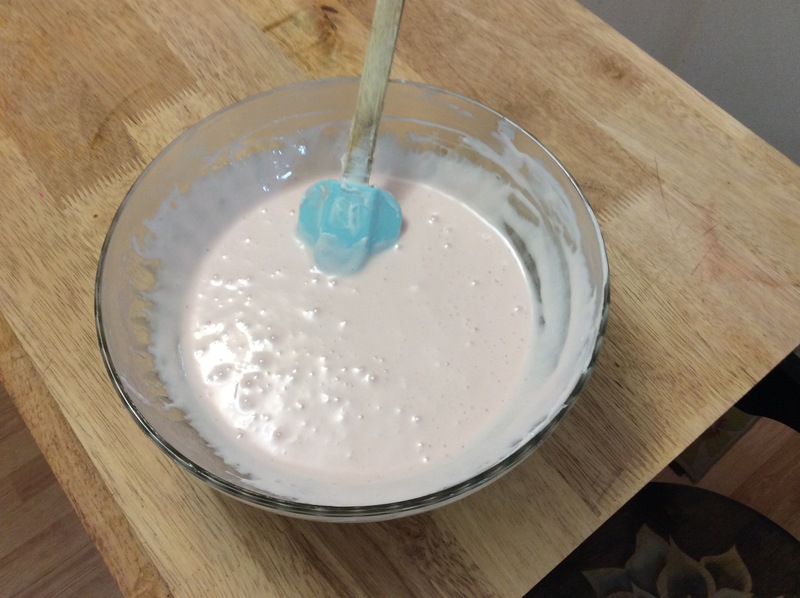 Then, create a well in the middle of your mixture..
Place marshmallow mixture in the microwave for 1 minute! 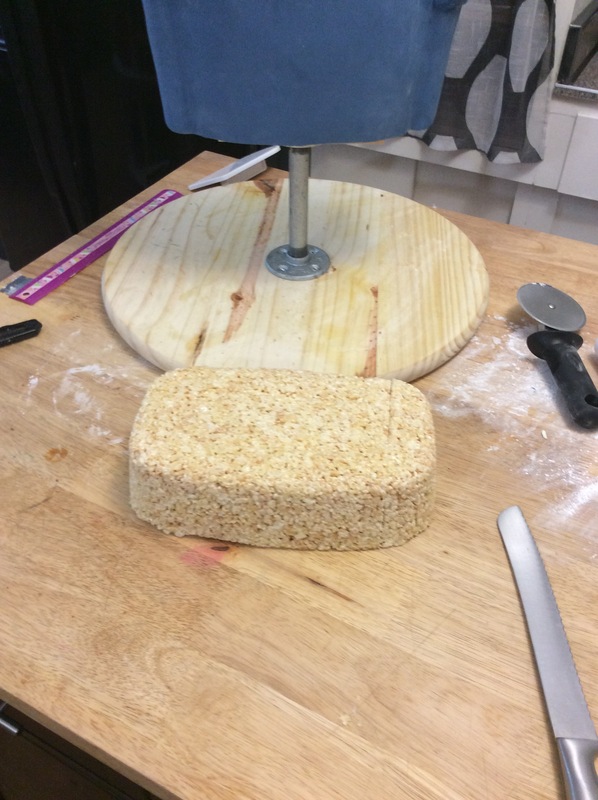 Meanwhile generously grease a rubber spatula, as well as your countertop for kneading…..AGAIN,,,,,,,, do not skip this step…..I’m just trying to help you out of a sticky mess here people. 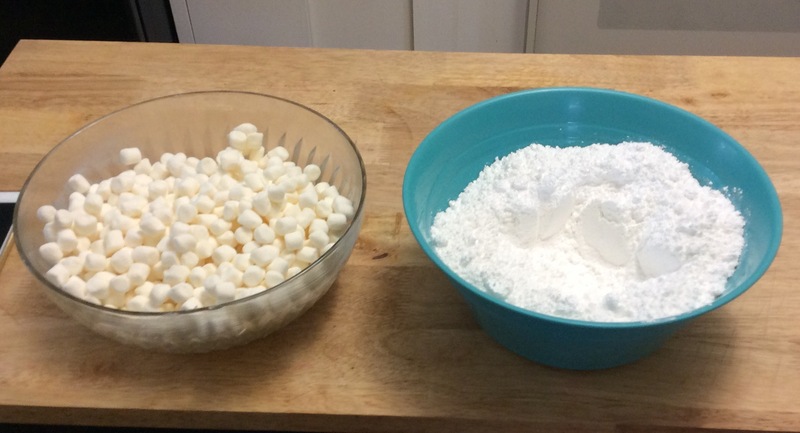 Pour melted marshmallows into your powdered sugar mixture. Mix until your little arms can mix no more, and then turn out on to your well GREASED 😉 countertop. Oh ya…… Before you start kneading, ya might wanna grease up those hands…..JS……. 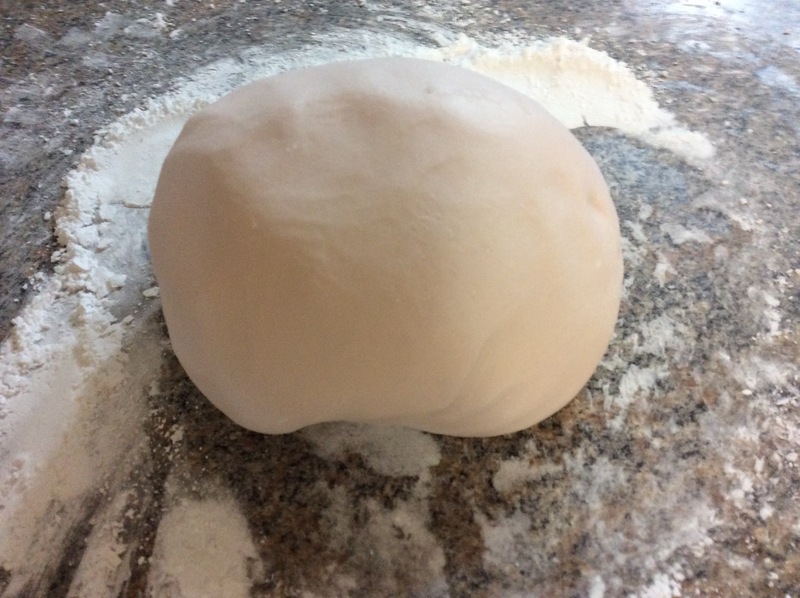 Knead away people…….this could take anywhere from 5 min to 10. Just depends how temperamental your ingredients are feeling that day. 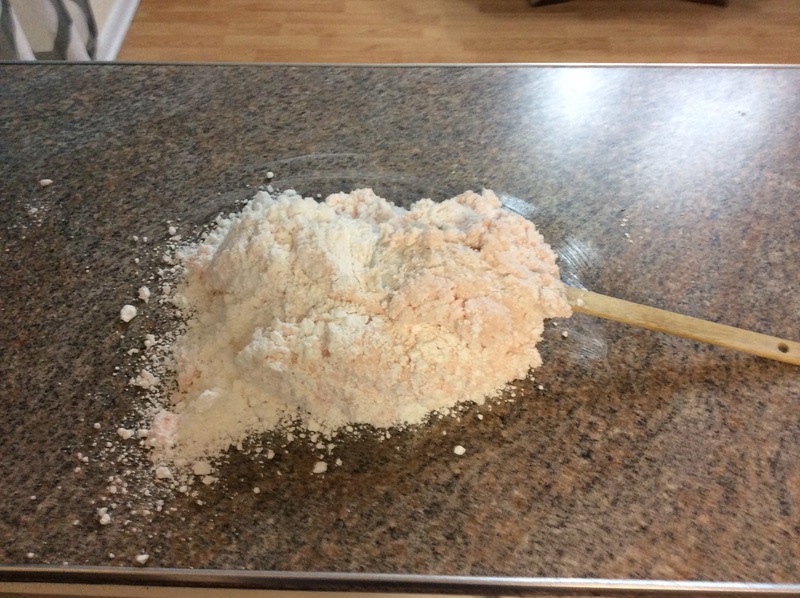 If it starts to stick to your counter top, just add a little more of the powdered sugar mix underneath it. I always have some still sticking around in my bowl. Here’s the thing……when I taught myself how to do this stuff, I don’t recall reading any tutorials that warned me about the weather. The threat is real! 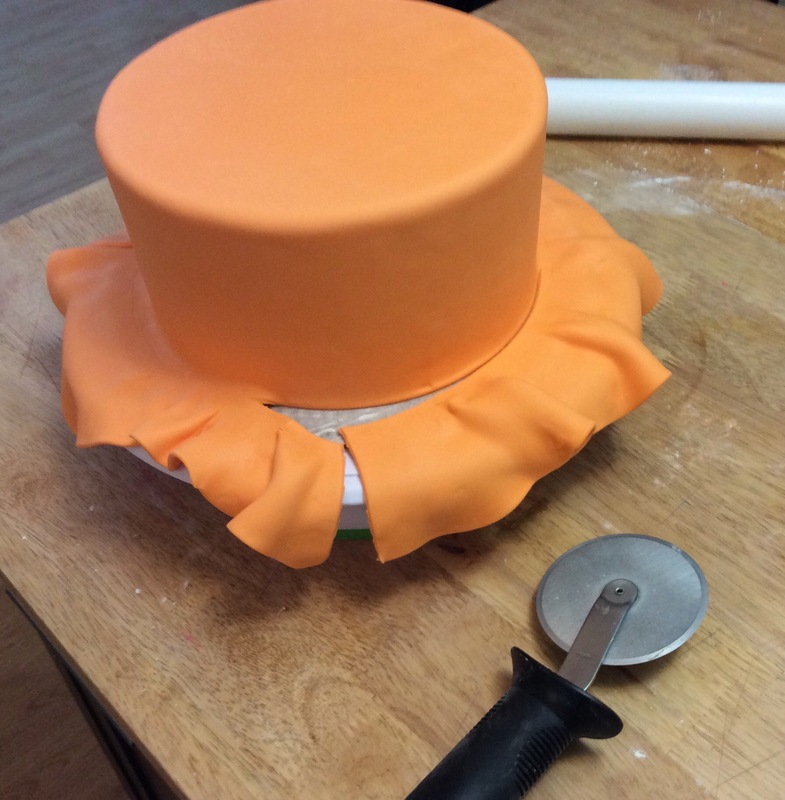 Let’s just say you’re blindly making your fondant when it’s 85 degrees outside. Don’t care if your air is on or not……chances are you’re gonna have a seriously gooey mess on your hands, literally! 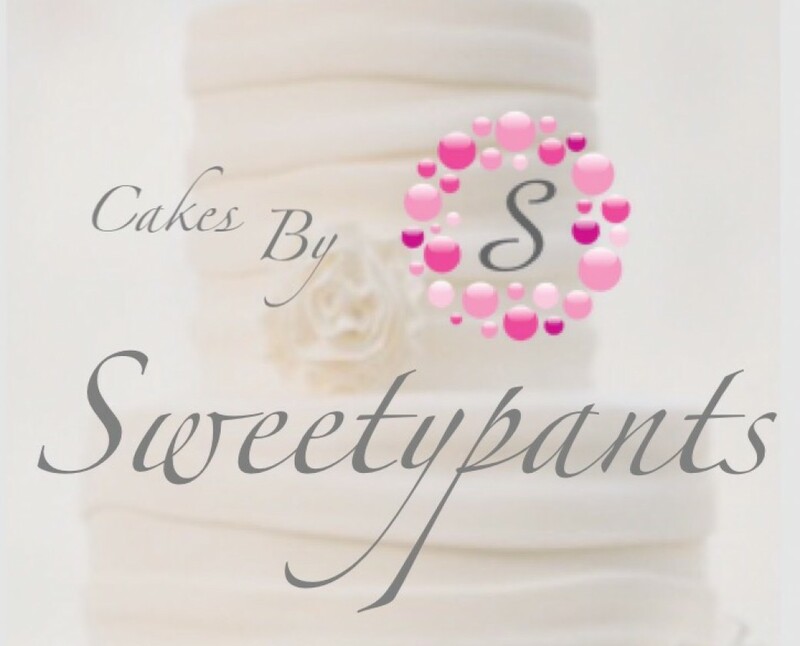 Don’t panic……..or cry…..just slowly incorporate a lil more powdered sugar into your fondant until it reaches a “pliable” almost play-doh like consistency. 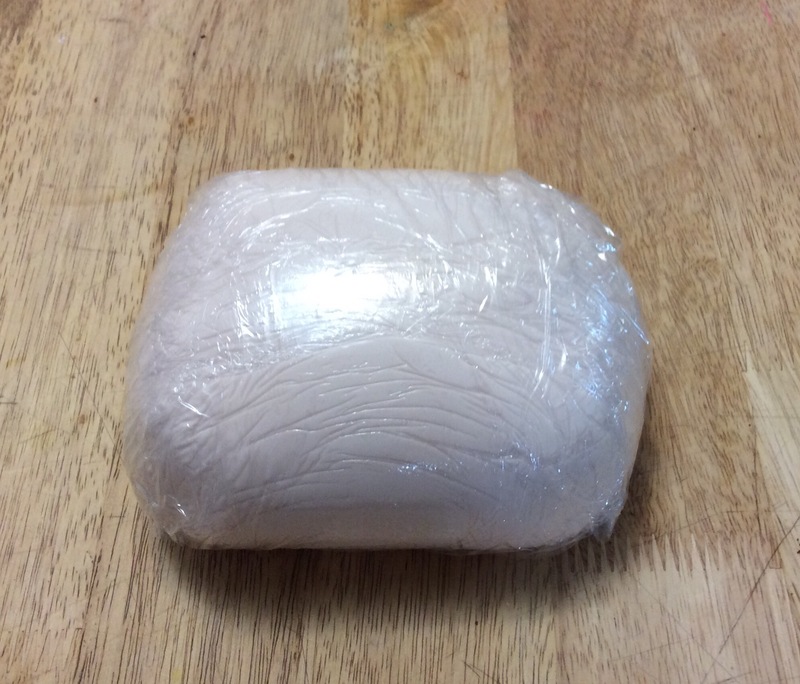 On the other hand…..if it’s the dead of winter (yes…even if your heat is workin over time) your fondant is gonna be purdy upset and get all dry and cracked on ya. 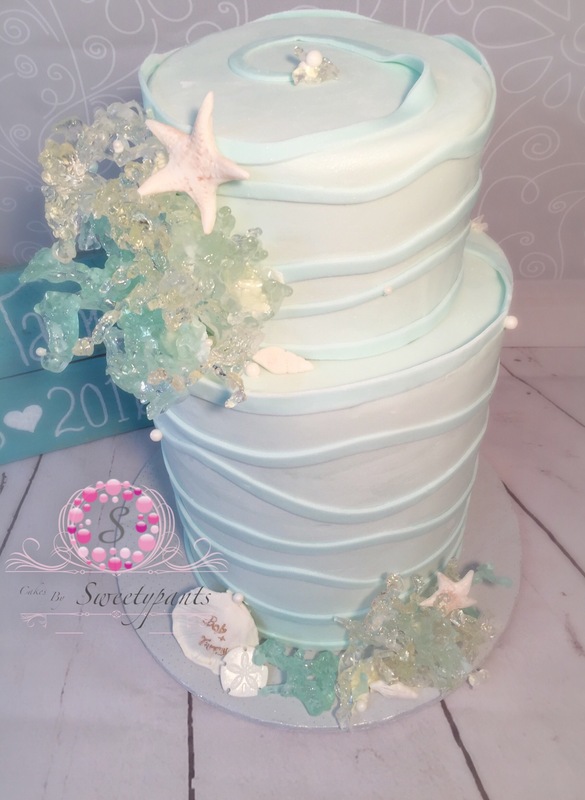 It might even crumble into a million tiny particles…..Try not to have a temper tantrum here 😏, just give your fondant a tiny mist from a water spray bottle…..and I mean tiny! 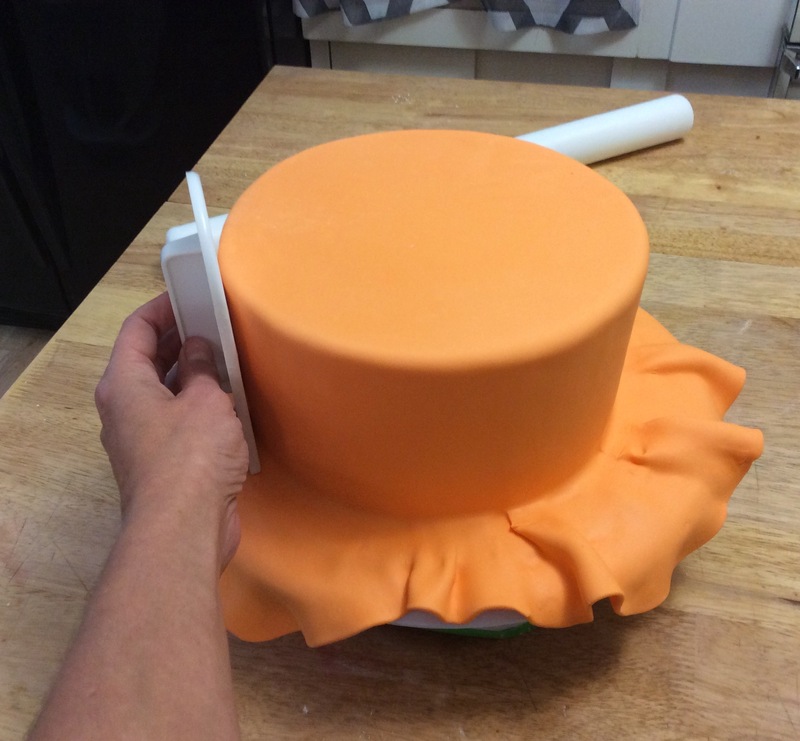 (Too much water will break down your fondant and turn it into a puddle). 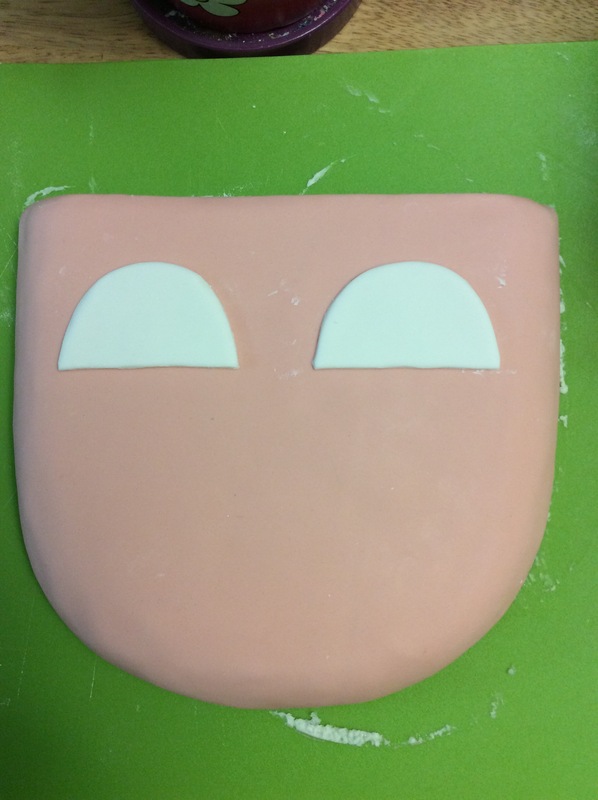 Then just keep on kneading til your fondant is smooth and happy! That’s it! Once you’ve done it a few times, you’ll be a master! Last step: wrap that baby up tight with Saran Wrap so it can set up for a few hours, or overnight. If it’s cold outside, just give a light coating of vegetable shortening so it doesn’t dry out. If you try and use it too soon, it’ll just be all warm, and soft and gooey on ya. 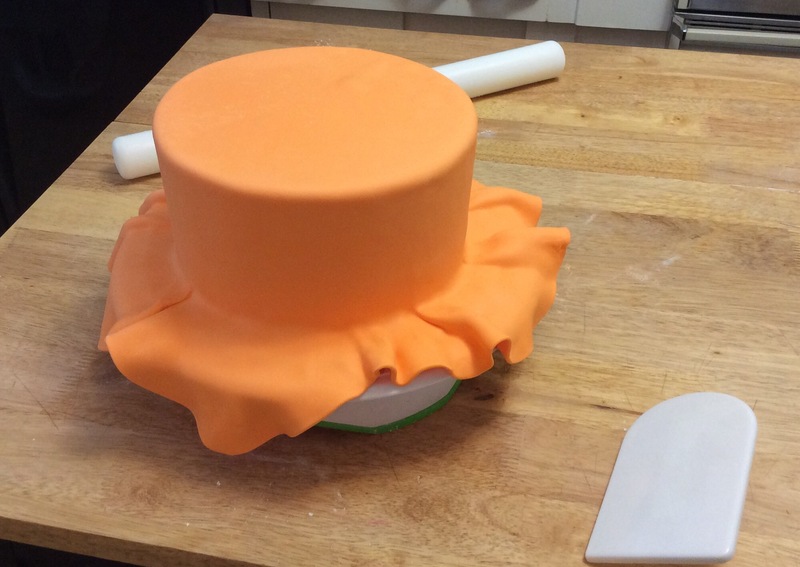 Nobody wants their cake covered in weepy fondant. So give yourself the extra time to make it a day or so beforehand! OH YA…..ONE MORE THING…….OR TWO! 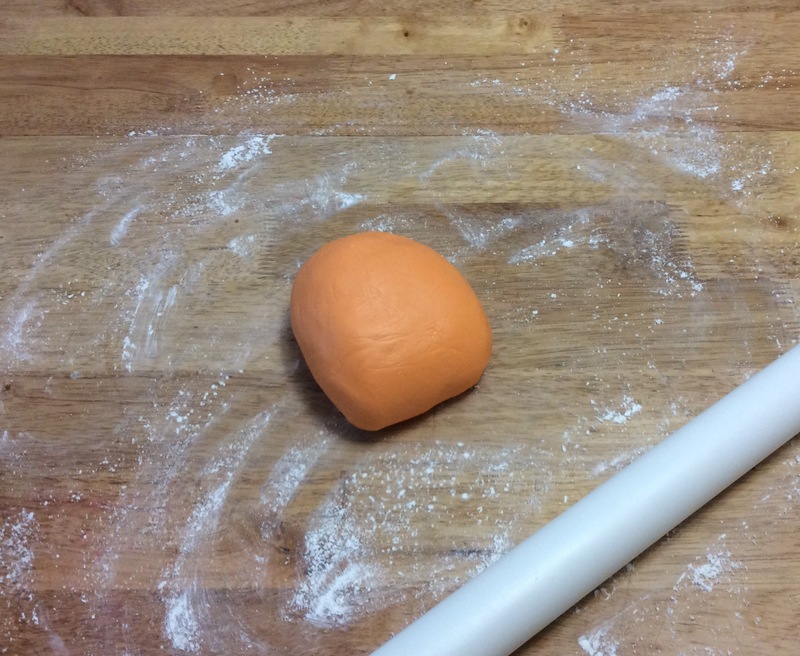 Once you’re ready to use it, just break off what ya need, color it if you like, re knead and roll out! (If it’s being stubborn and too hard to knead, you can pop it in the micro for a few seconds to soften, but BE CAREFUL you don’t melt it!). AND finally….. I hope this lil tutorial was helpful! If you have any questions feel free to ask!